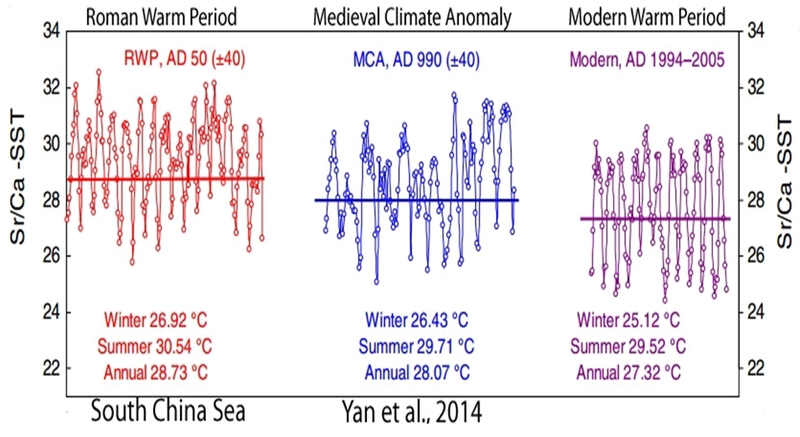 Recently, an article citing over 80 graphs from scientific papers published in 2017 — and another 55 graphs from 2016 — established that modern “global” warming is not actually global in scale, and that today’s warmth is neither unprecedented or remarkable when considering the larger context of natural variability. 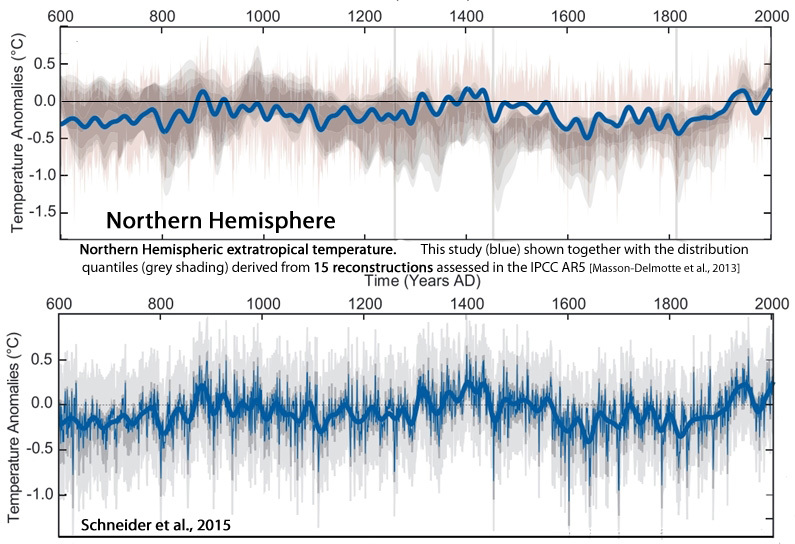 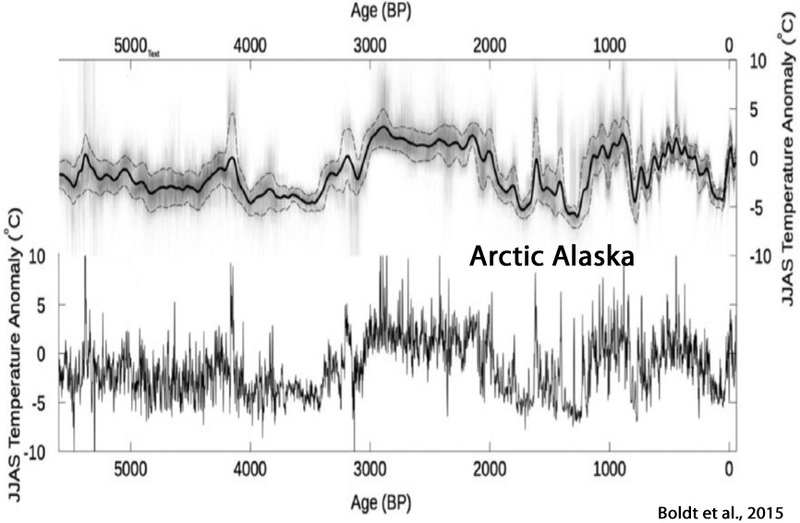 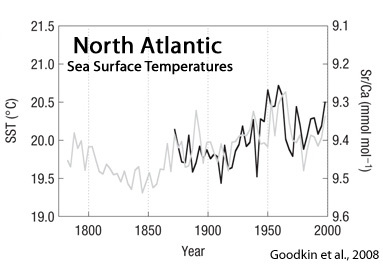 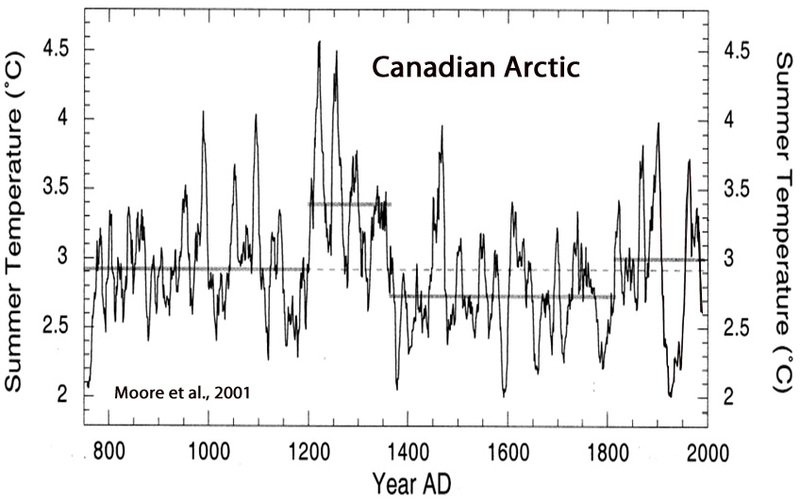 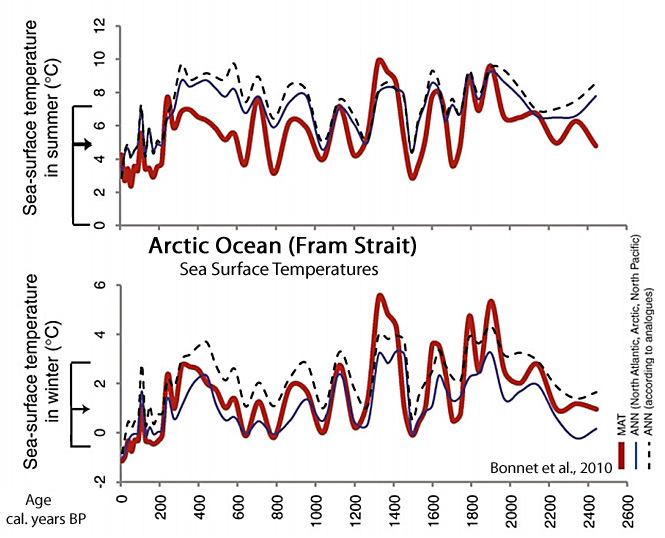 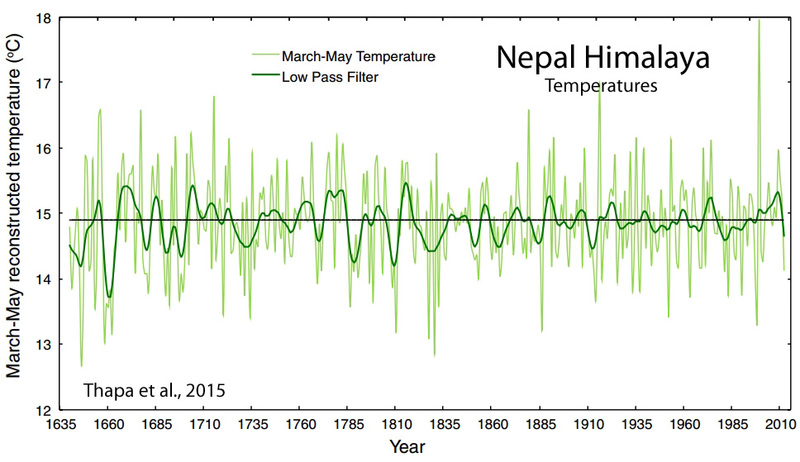 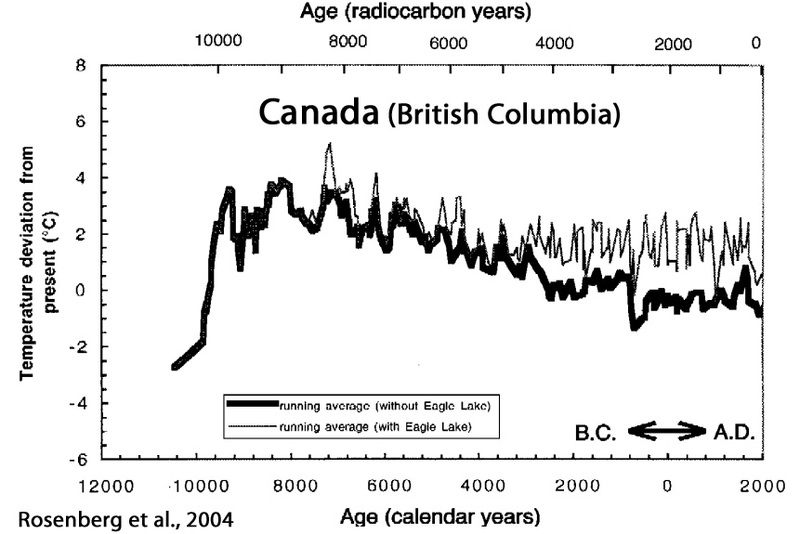 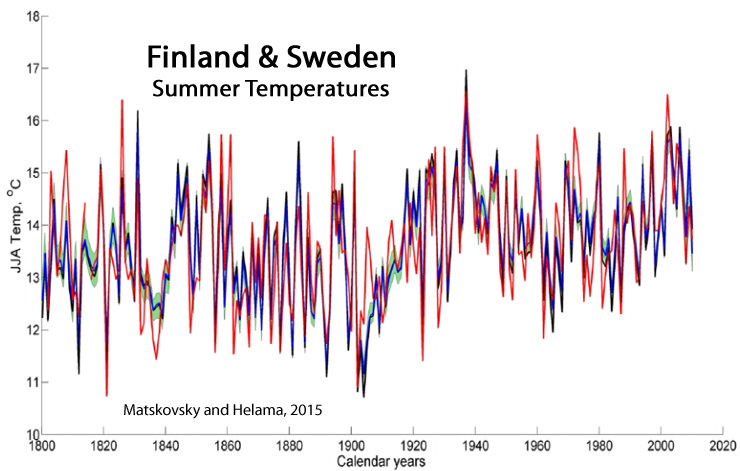 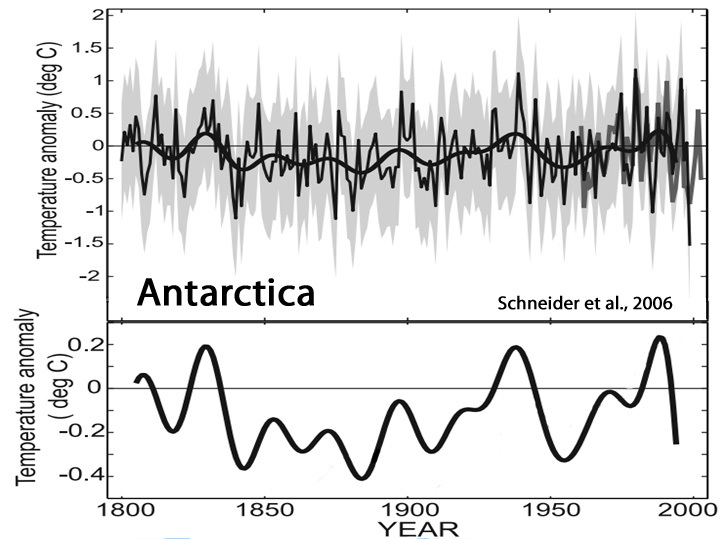 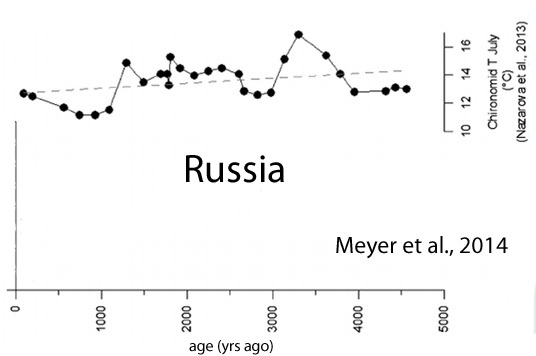 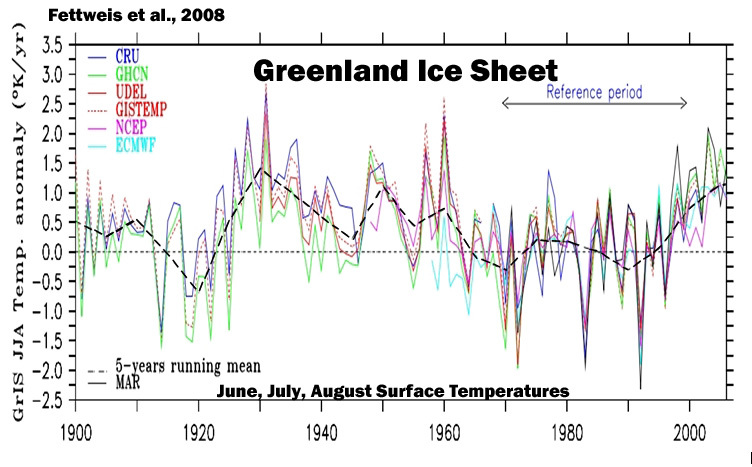 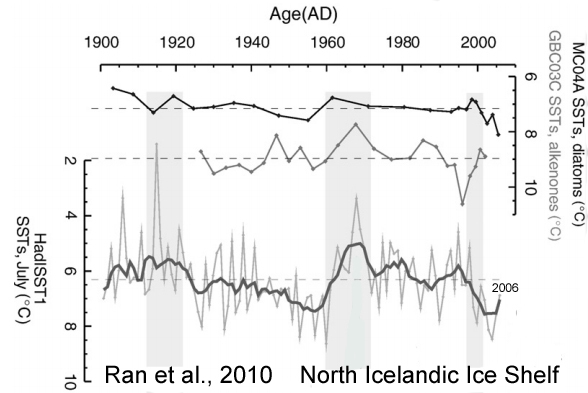 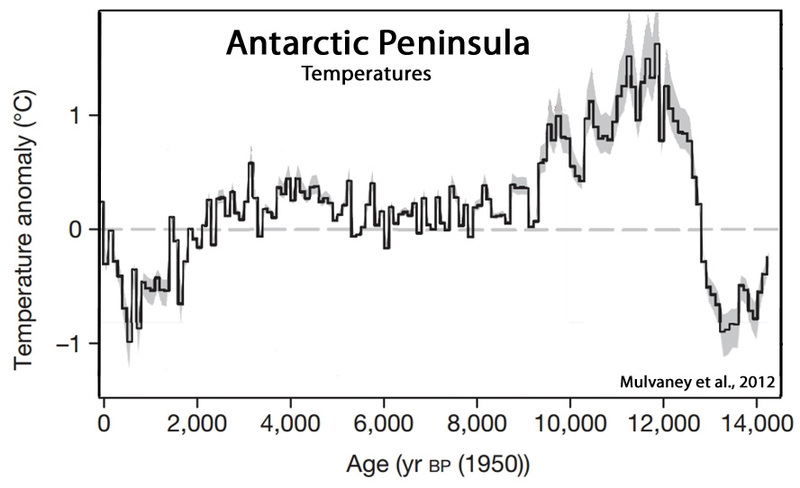 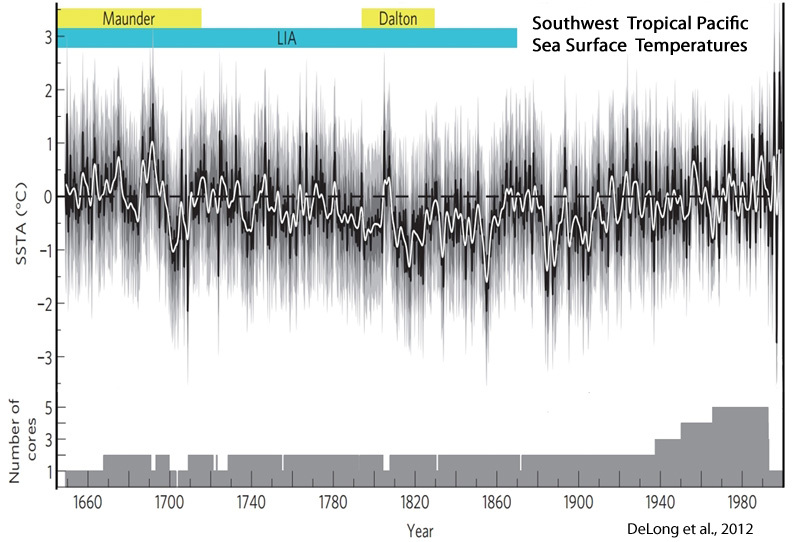 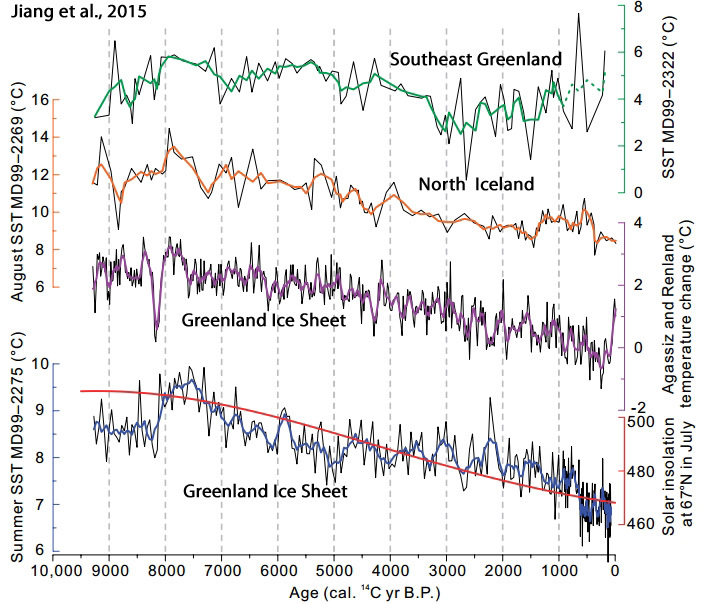 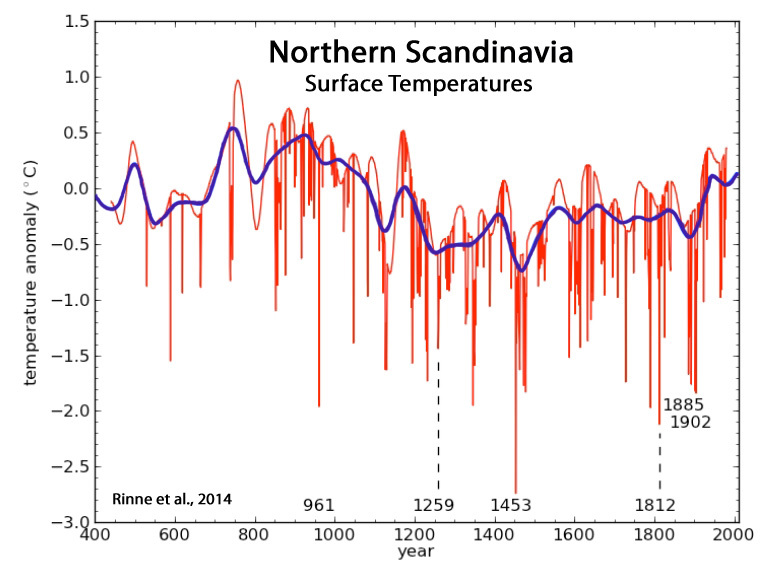 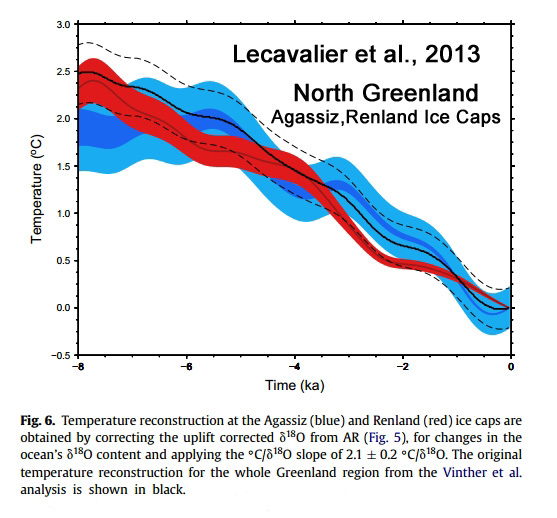 Here, an additional 140 non-hockey stick graphs taken from papers published in 2015 and earlier have now been made available. 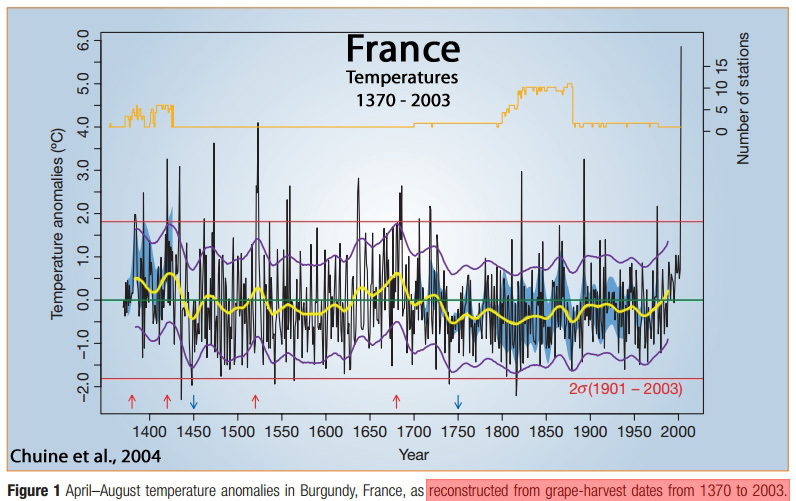 With this latest installment, graphical temperature reconstructions challenging the conceptualization of global-scale or unprecedented modern warming are rapidly approaching 300. 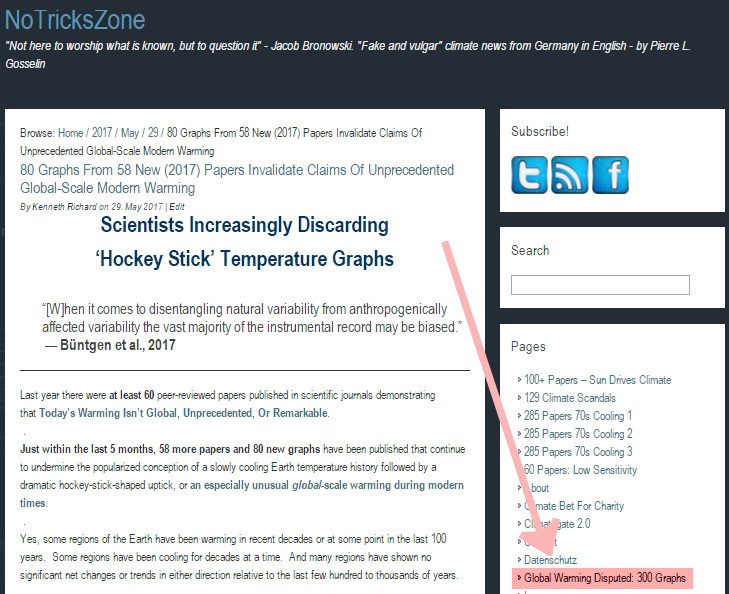 For those interested in perusing this growing body of scientific evidence all at once, a new page has been added to the NoTricksZone website. 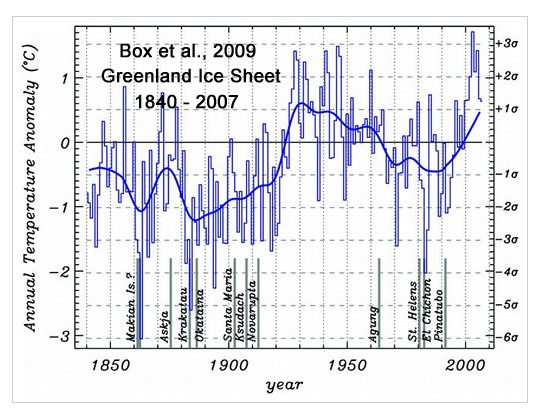 The list is categorized by the year (or decade) of publication. 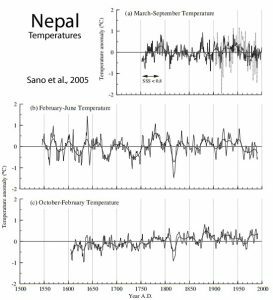 It will be updated as new temperature reconstructions are published or located in the peer-reviewed scientific literature. 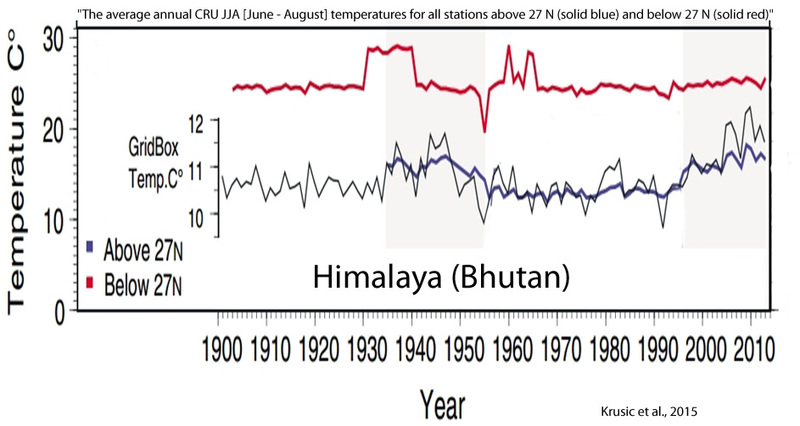 Perhaps these pages can be used as a resource when challenging those who claim that modern temperatures are unusual, dangerous, or outside the range of natural variability. 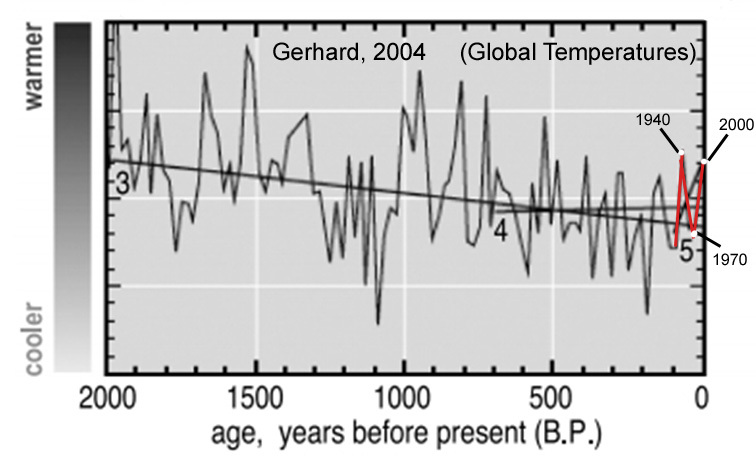 Thank-you Kenneth Richard excellent post! 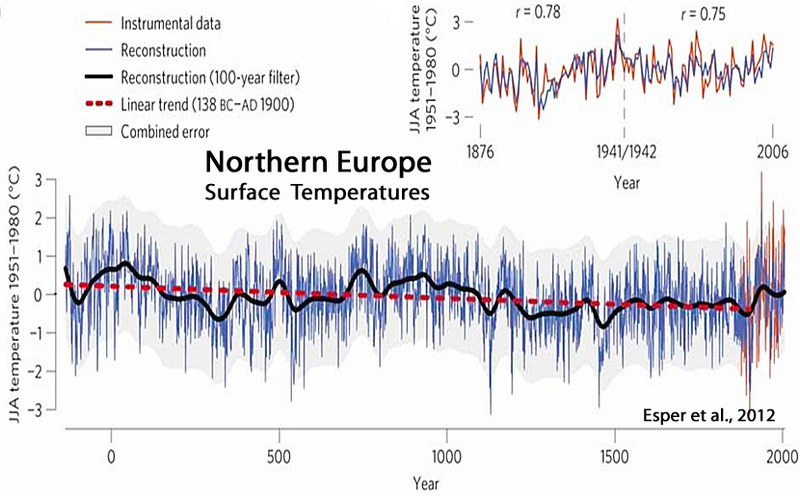 Yet again more scientific papers showing the UN’s ideas appear as errors, away from reality, and that natural variations are totally in control of this planet. 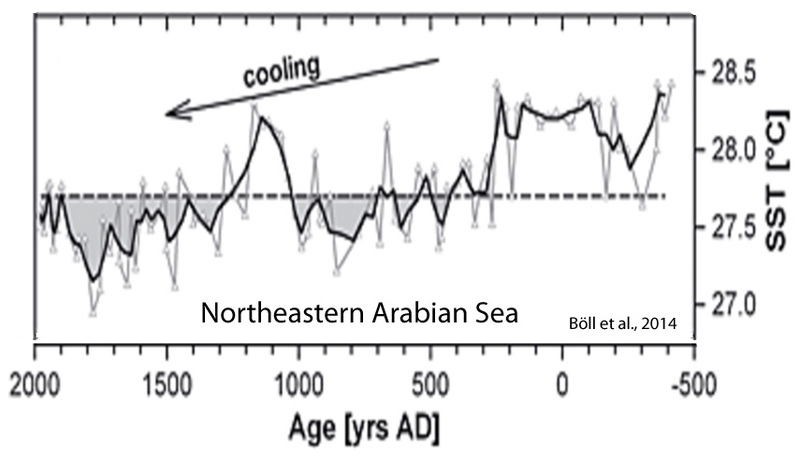 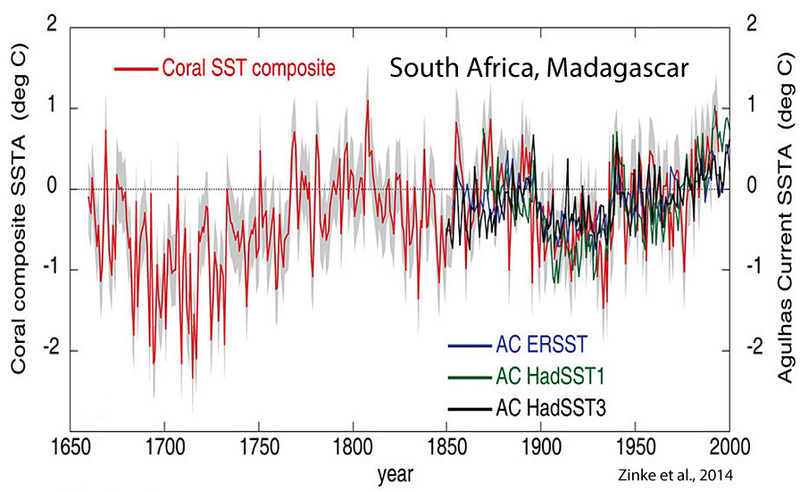 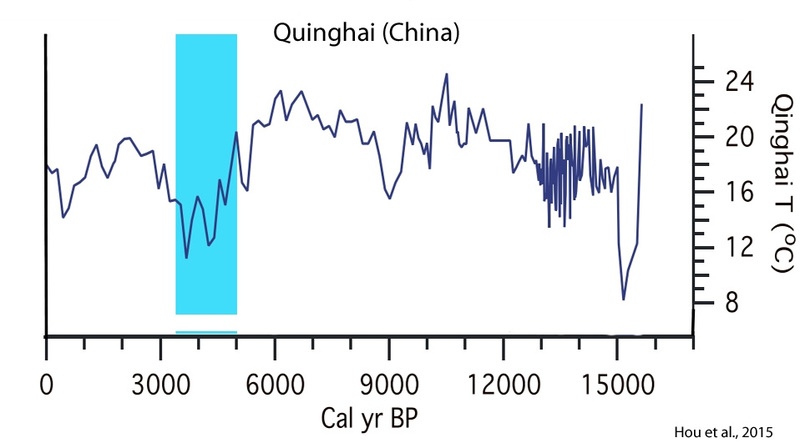 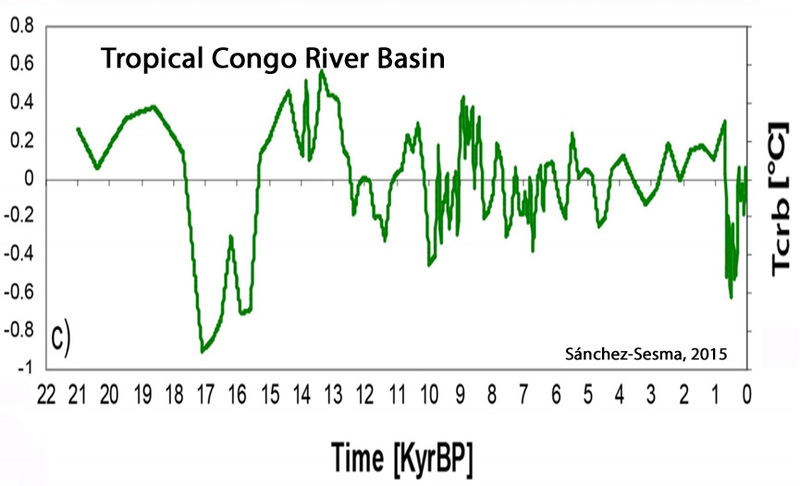 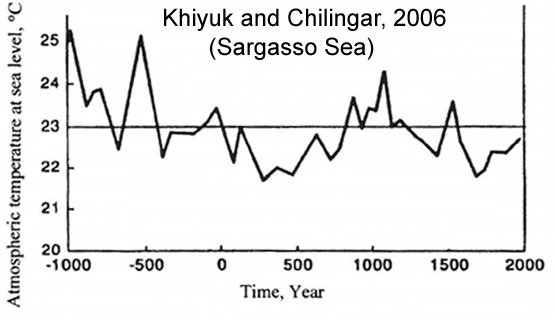 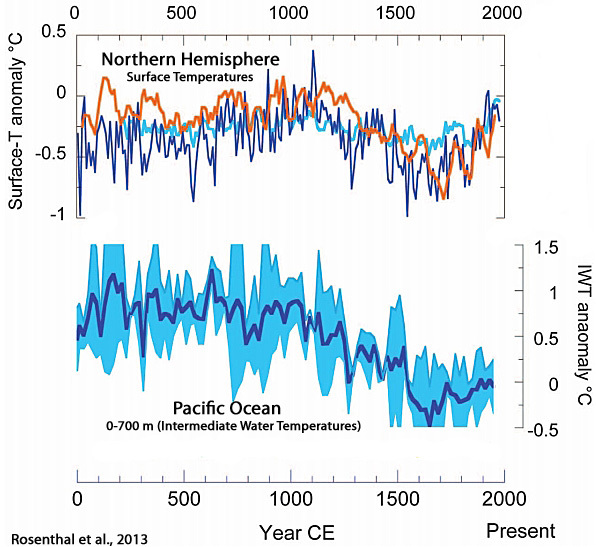 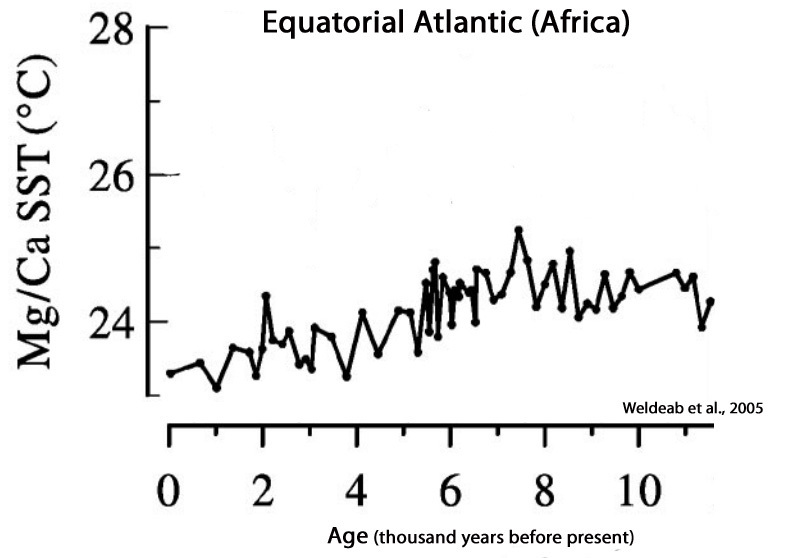 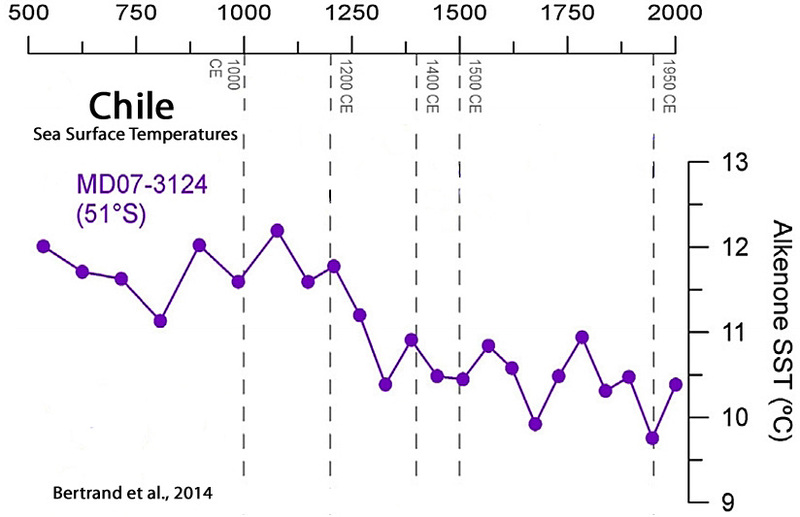 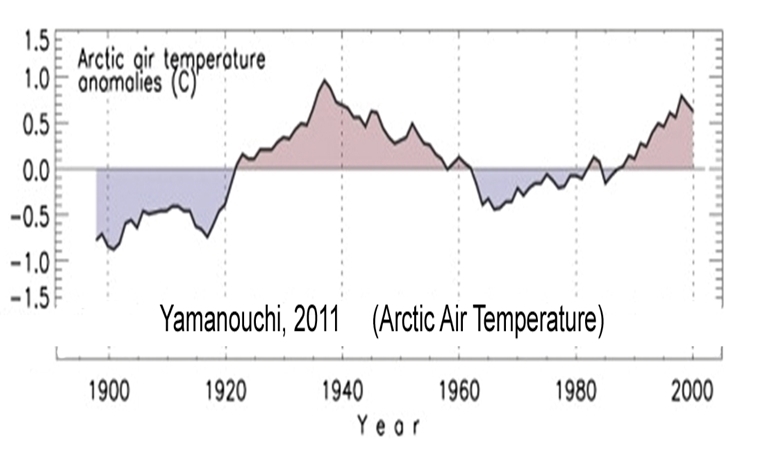 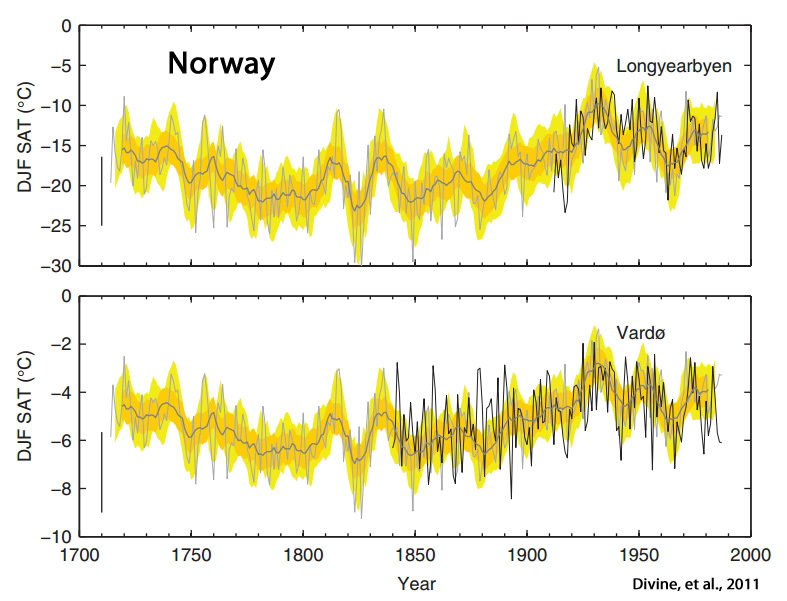 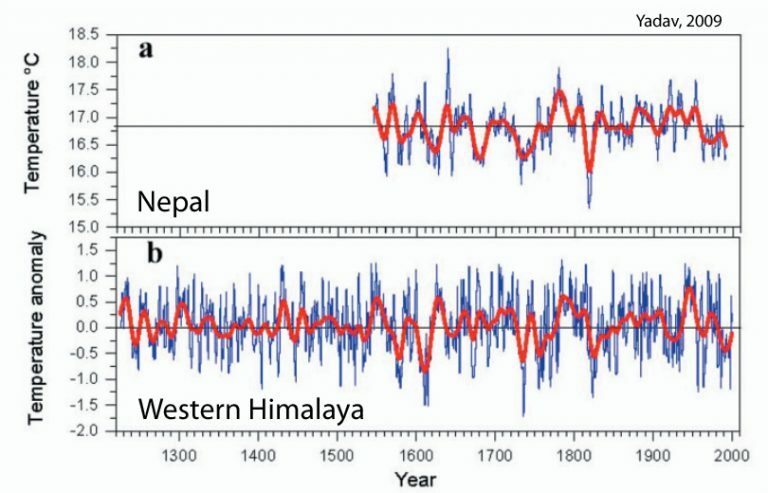 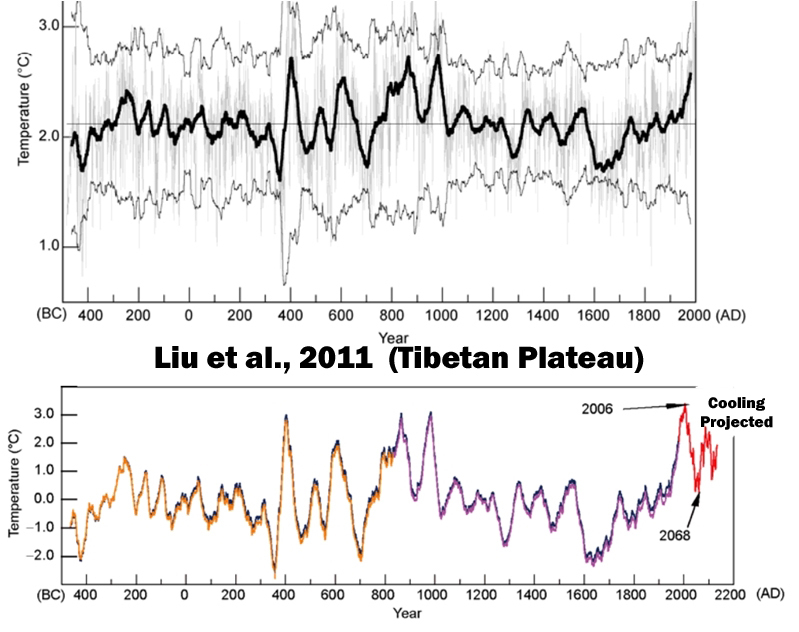 These graphs illustrate magical properties of changing CO2 levels assigned to it the by the UN-IPCC is not apparent. 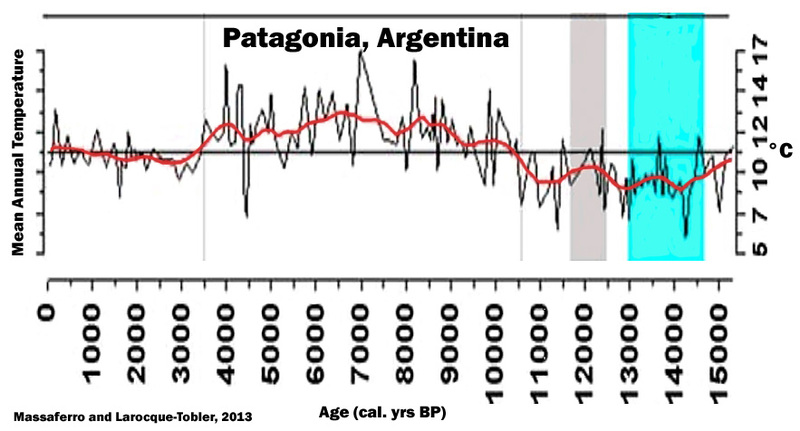 That the effects of man’s CO2 generation (the infamous fingerprint) is missing, as CO2’s ‘forcing factor’ appears to be many times less than the IPCC’s assumptions, and may well not exist at all. 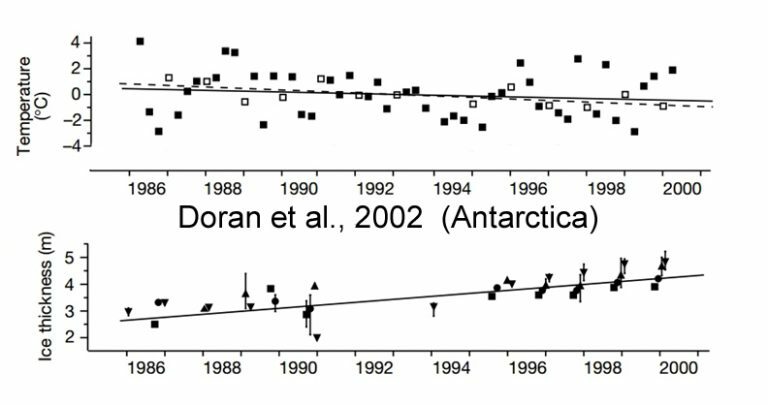 These graphs also illustrate that the process of science is not a list of known facts but an ongoing search for the truth in the reality of nature. 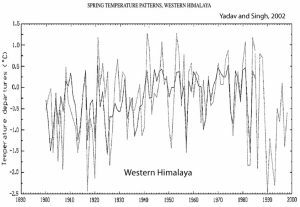 When all the parameters, their nonlinear interrelating variations and couplings are not all known, and this system is still being scientifically investigated then there is only research. 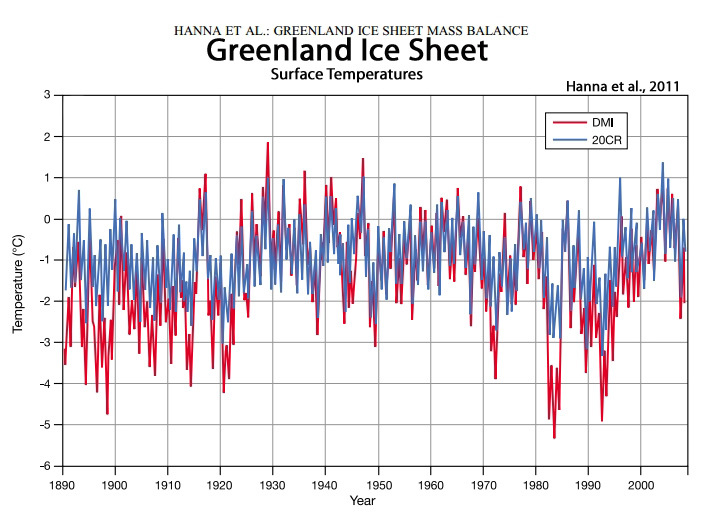 At this juncture there is NO definitive answer. 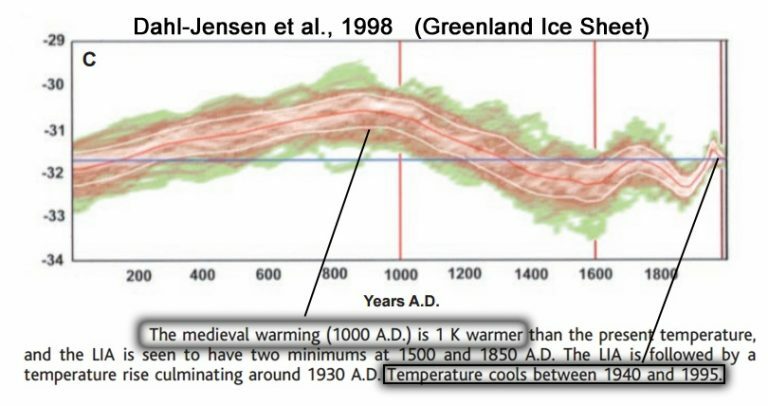 When the truth is unknown, imaginative descriptions of it by those pretending to know are not winners or losers, they are only charlatans or fools. 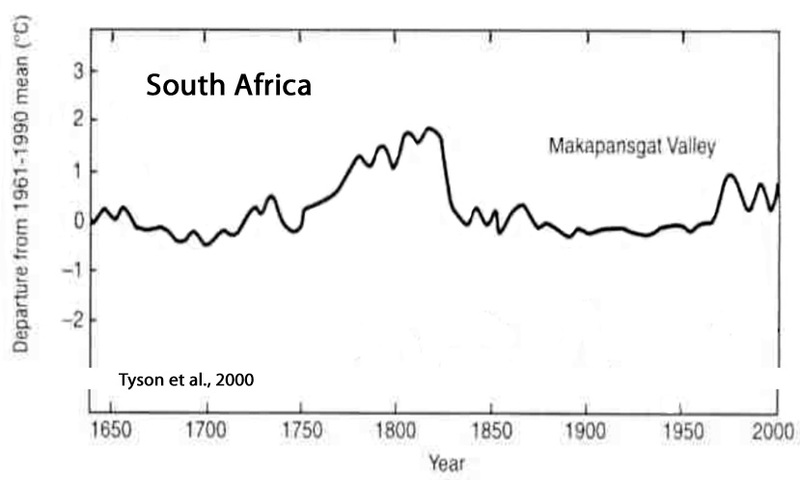 Todays article is sure to leave a mark. 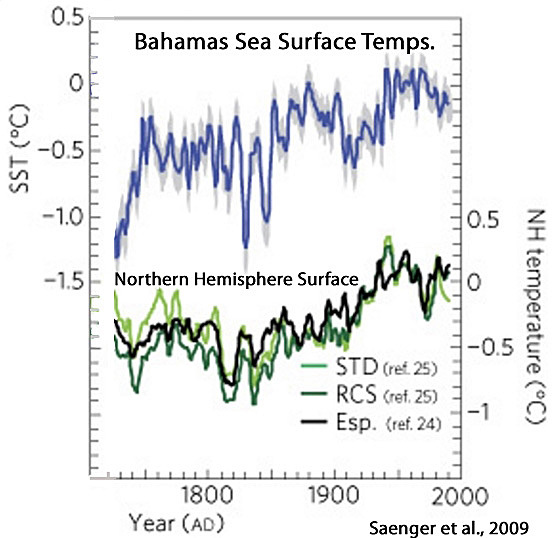 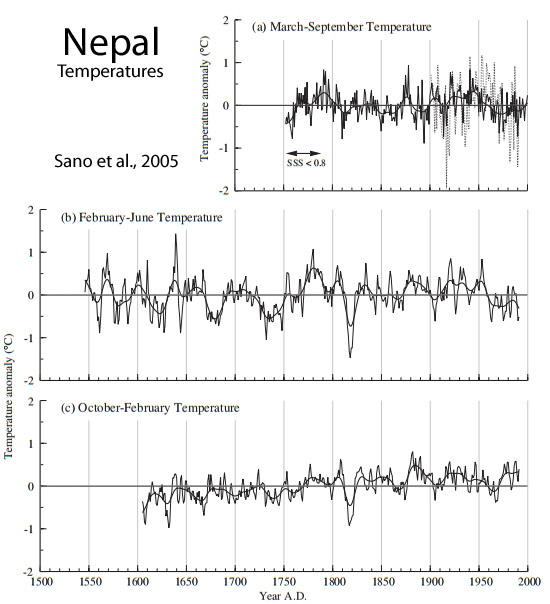 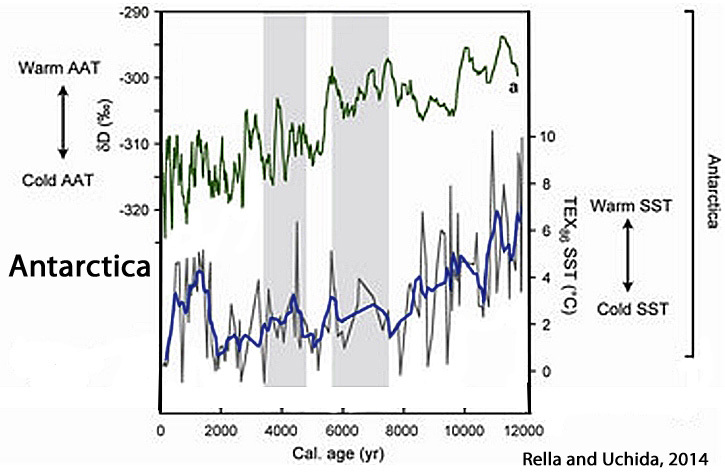 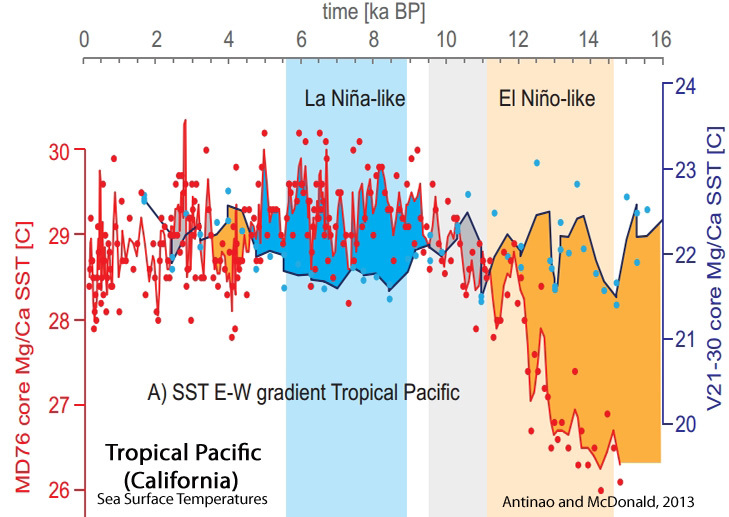 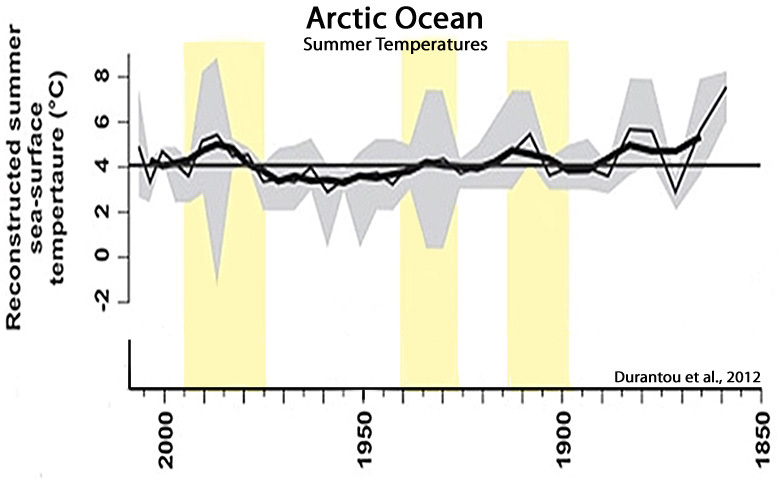 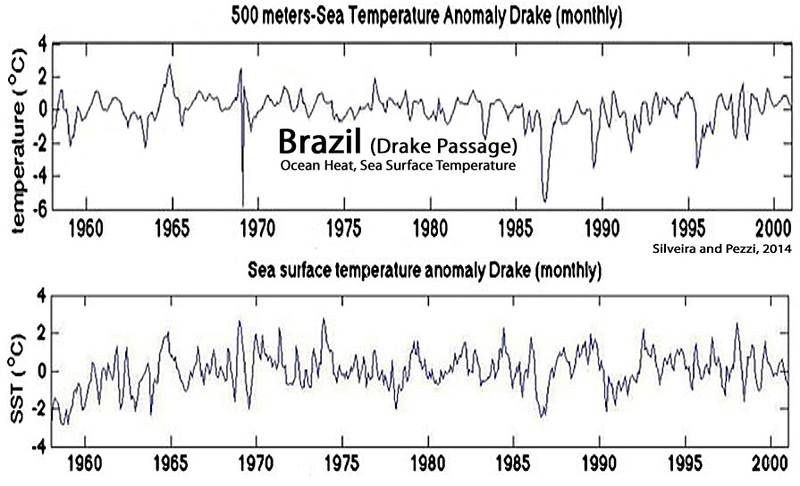 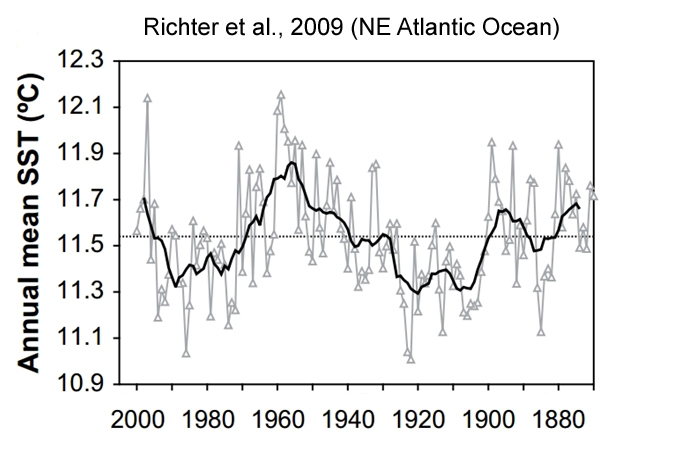 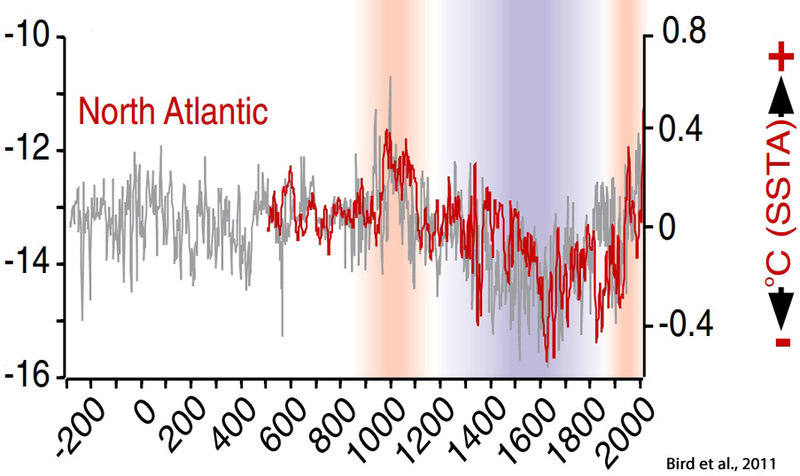 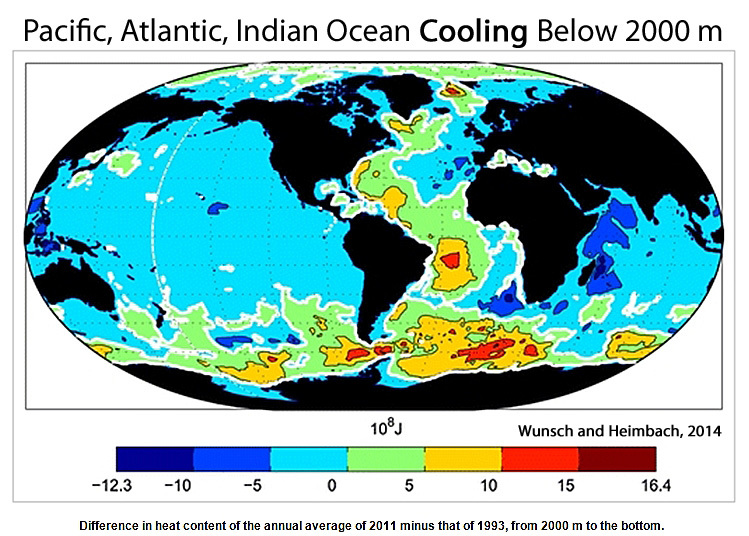 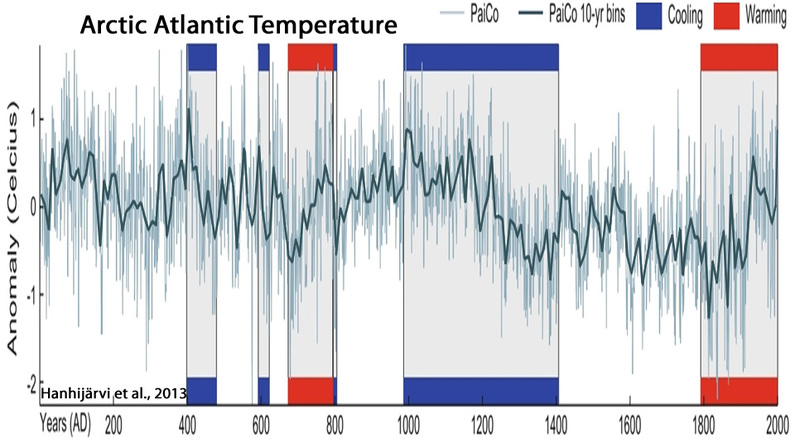 We also identify coherence between the Atlantic multidecadal oscillation and Northern Hemisphere temperature variations, leading us to conclude that the apparent link between Atlantic multidecadal variability and regional to hemispheric climate does not arise solely from a common response to external drivers, and may instead reflect dynamic processes. 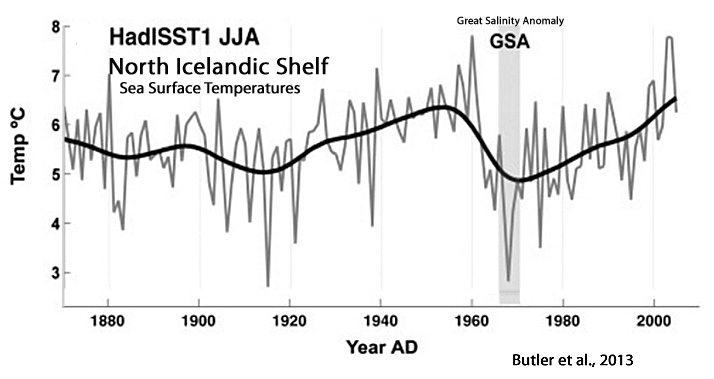 Although recent decades have been the warmest since 1850, and global mean temperatures during 2015 and 2016 beat all instrumental records, the rate of increase in global surface air temperature (GSAT) significantly decreased at the beginning of the 21st Century. 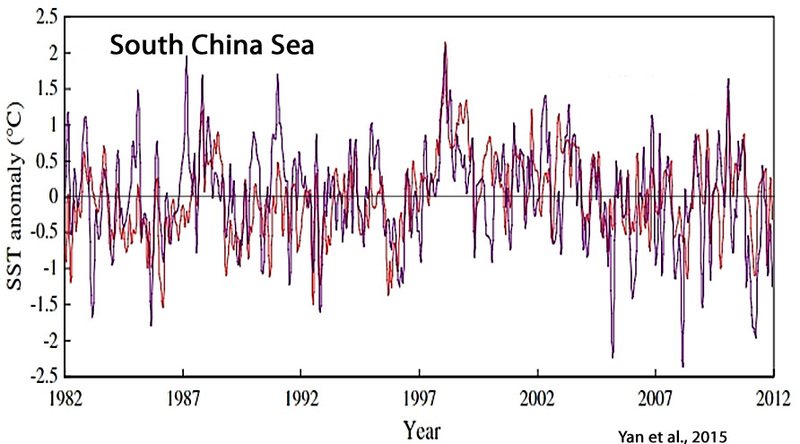 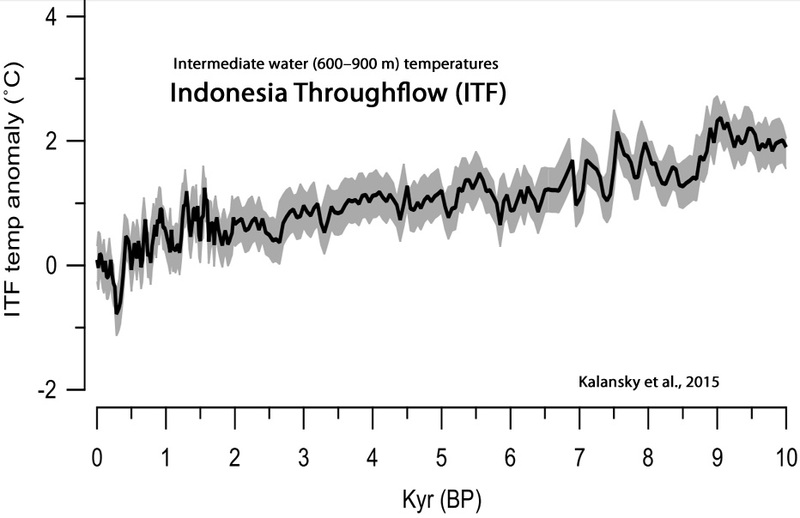 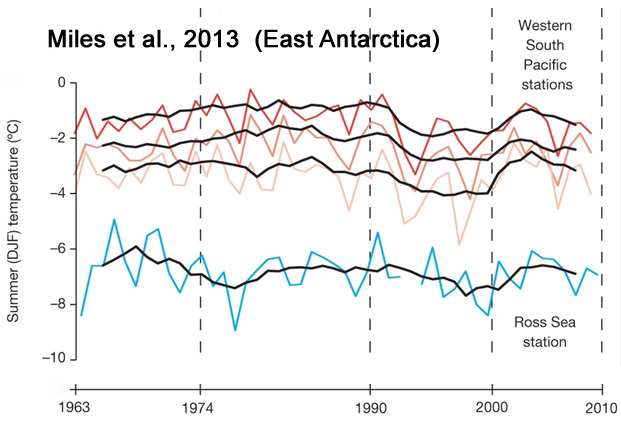 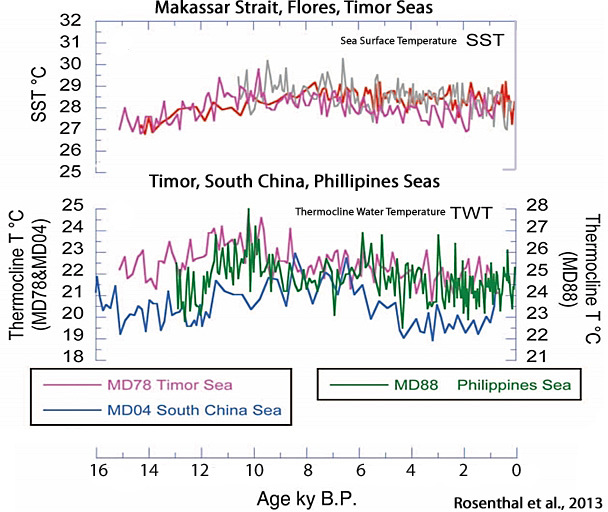 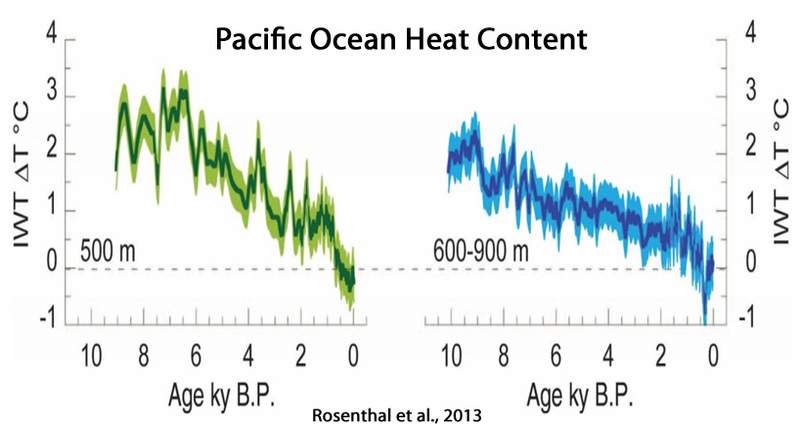 In this context, we examine the roles of ice melting and associated increase in sea-water mass, both of which significantly increased at the same time as GSAT decreased. 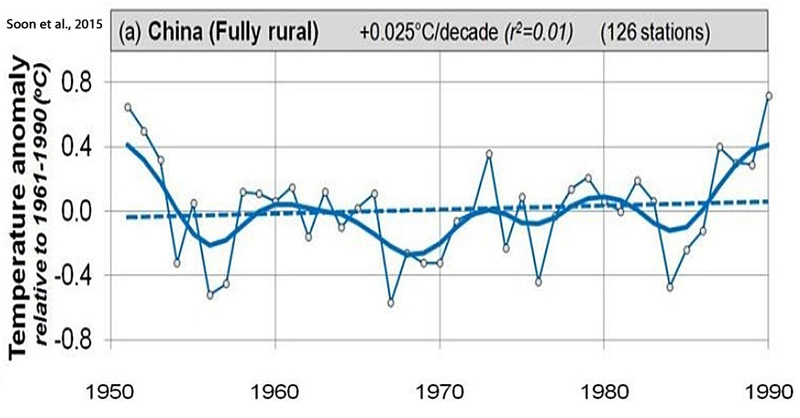 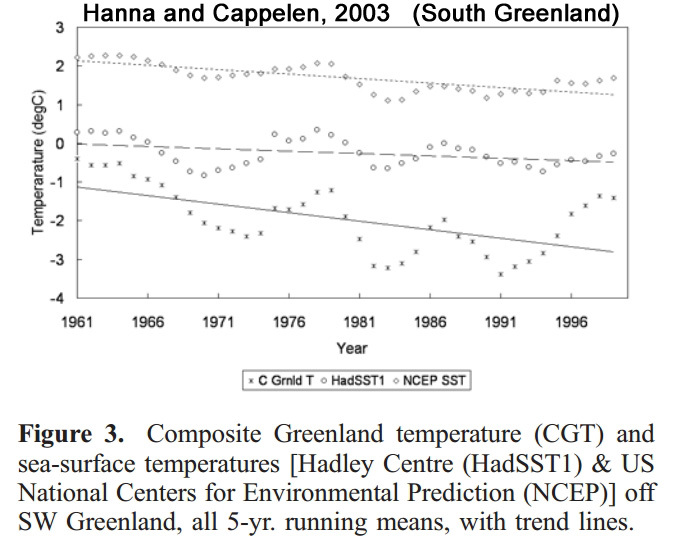 Specifically, we show that (1) the slowdown of the rate of increase in GSAT between the specific periods 1992–2001 and 2002–2011 exists in all three climate records analyzed and is statistically significant at the 5% level amounting between 0.029 and 0. 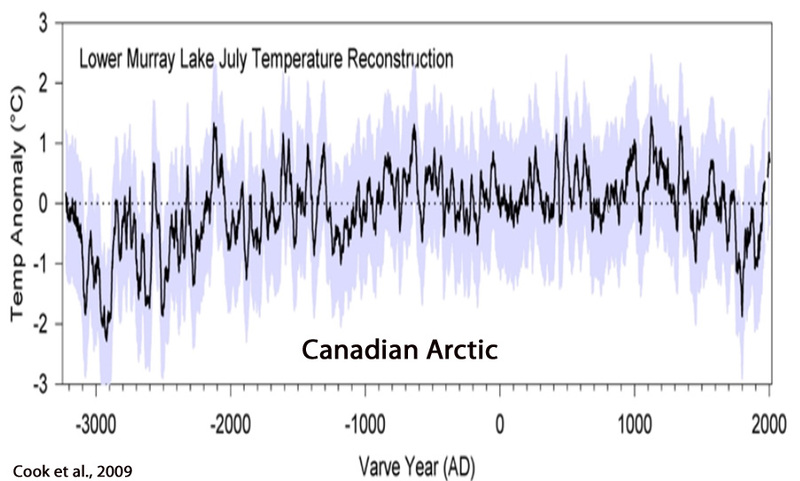 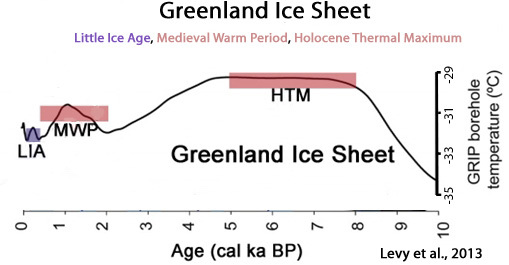 036 °C/yr and leaving an energy of 14.8 to 18.4 1019 J/yr available; (2) the increase of the atmosphere-related ice melt between these two periods amounts to 316 Gt/yr which requires 10.5 1019 J/yr, i.e. 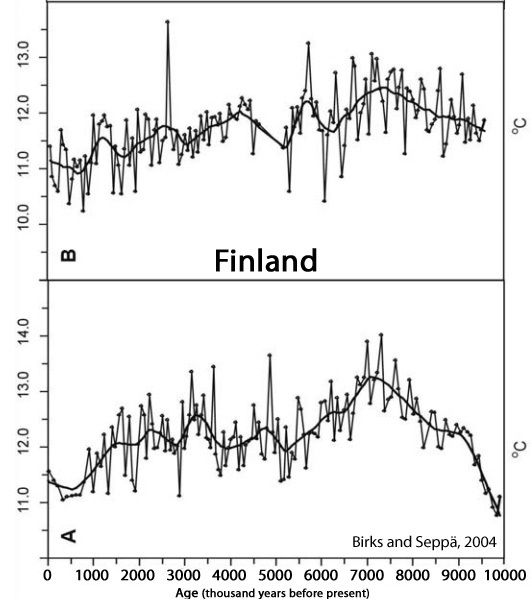 between 57% and 71 % of the energy left by the slowdown; and (3) the energy budget shows therefore that the heat required to melt this additional 316 Gt/yr of ice is of the same order as the energy needed to warm the atmosphere during the decade 2002–2011 as much as during the previous one, suggesting a redistribution of heat within the atmosphere-cryosphere system. 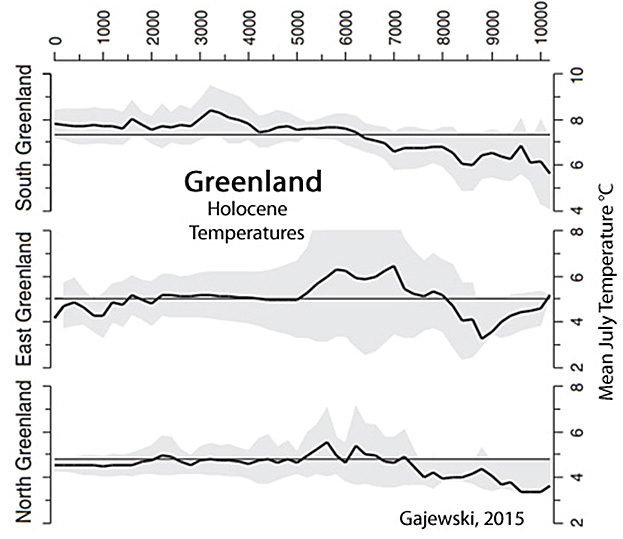 Despite continually increasing concentrations of greenhouse gas, there has been a hiatus in rising global temperatures during the 21st century. 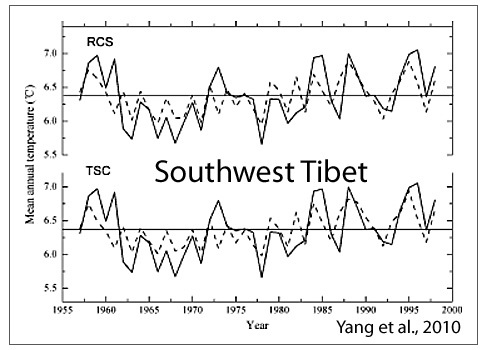 In this study, changes in the tropopause layer (TL) thickness are studied during the pre-hiatus and the hiatus periods, based on radiosonde data from the Integrated Global Radiosonde Archive. 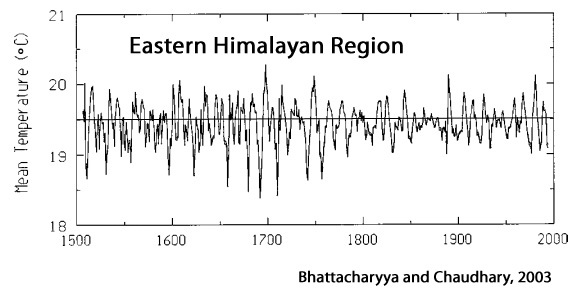 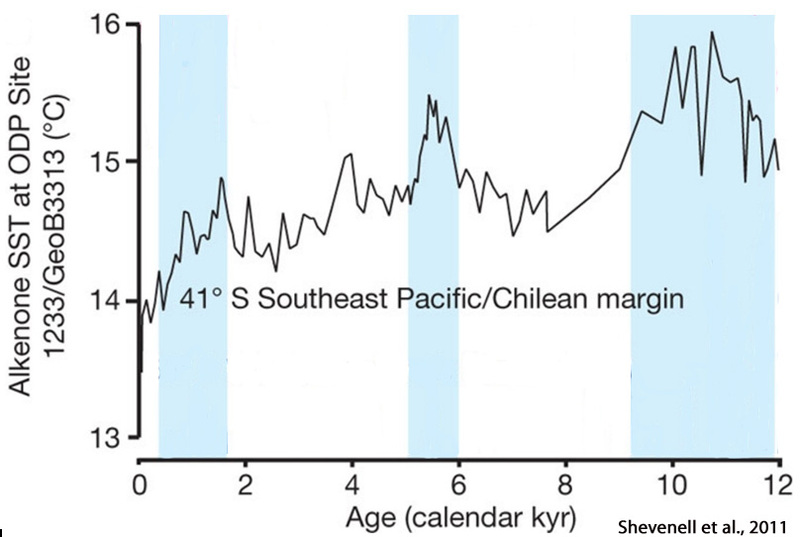 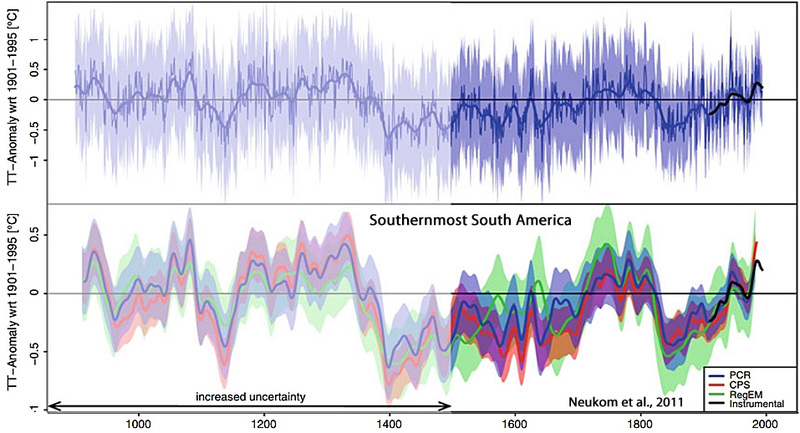 Statistically significant thickening occurs in the Northern (Southern) Hemisphere extratropics, at 35 ± 15.6 (59.0 ± 27.6) m decade−1, and the Northern (Southern) Hemisphere high latitudes, at 104.8 ± 21.7 (132.6 ± 97.4) m decade−1, but not in the tropics during the pre-hiatus period (1960–1997). 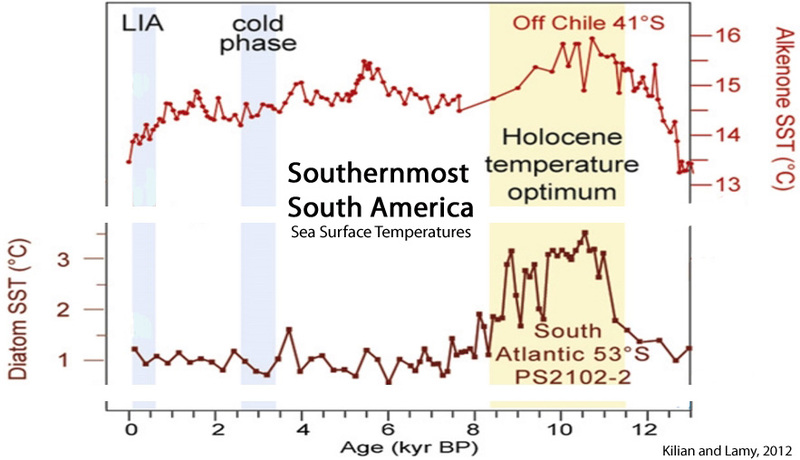 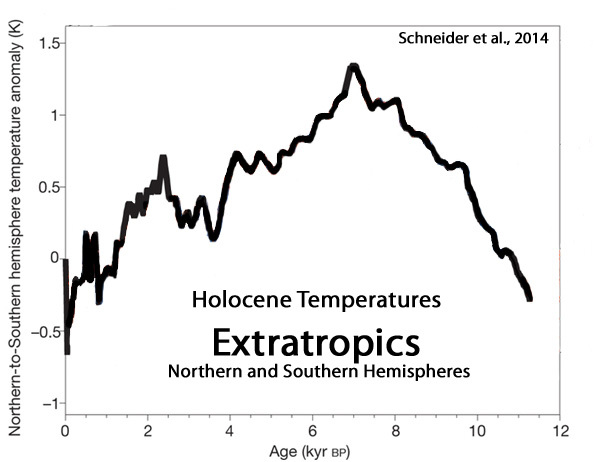 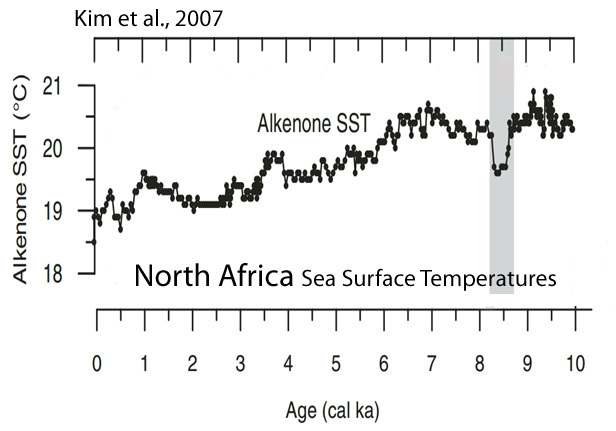 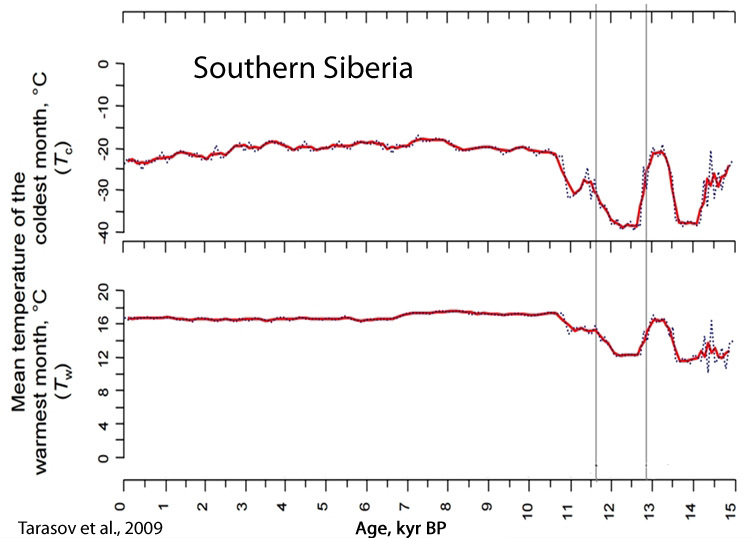 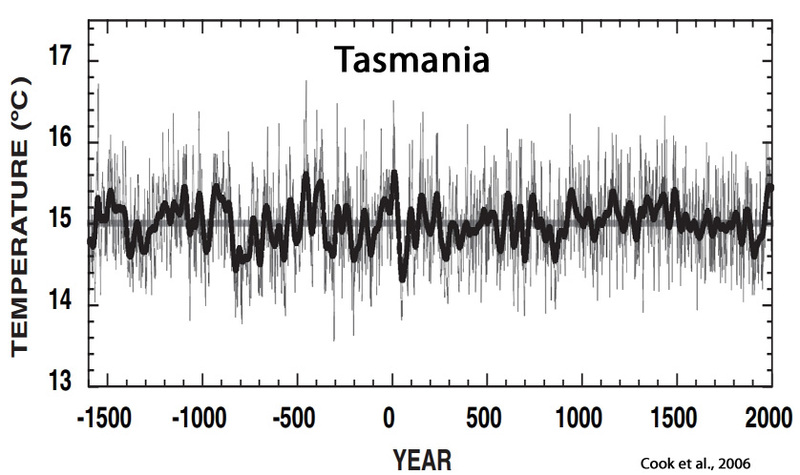 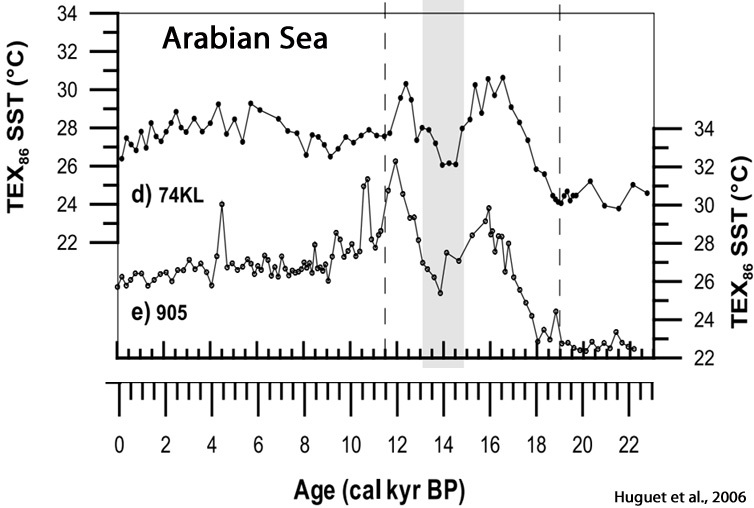 For the hiatus period (2002–2013), significant thickening of the TL occurs only in the Southern Hemisphere extratropics (133 ± 98 m decade−1). 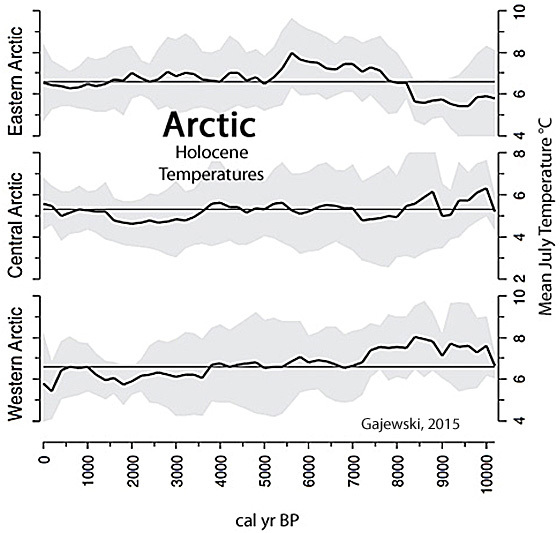 Moreover, this study captures distinct regional characteristics in the hiatus of the TL thickening, including thinning over Alaska, Hawaii, the Western Plateau of North America, and Northern Australia. 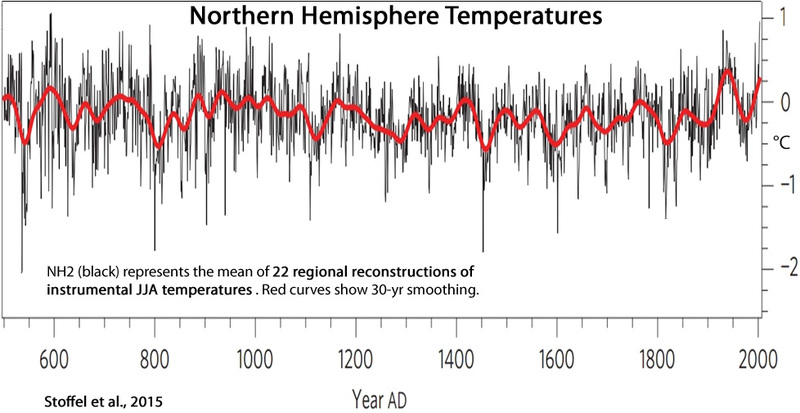 Nice to see all these regional graphs that contradict what we’re told we should believe. 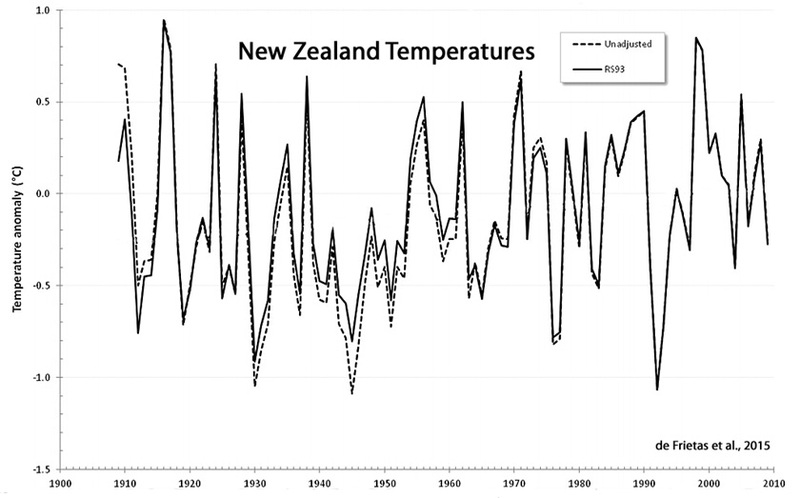 I’d like to see a compilation of all the regional temperature graphs that have been published in recent years, pro or con to the prevailing view. 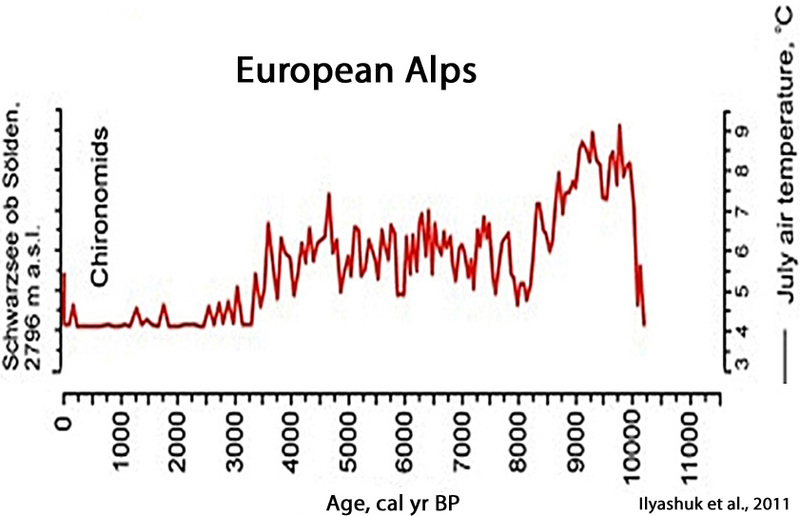 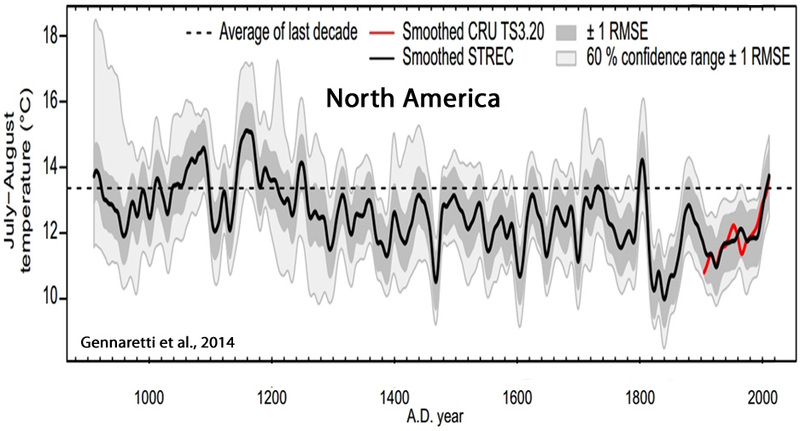 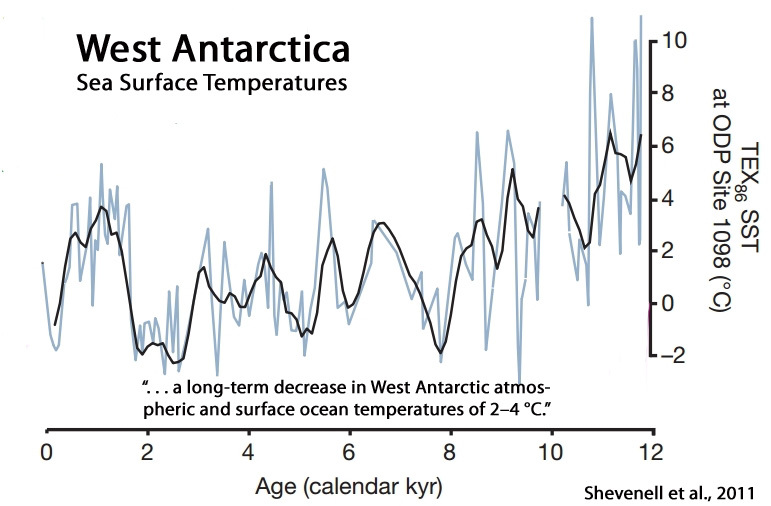 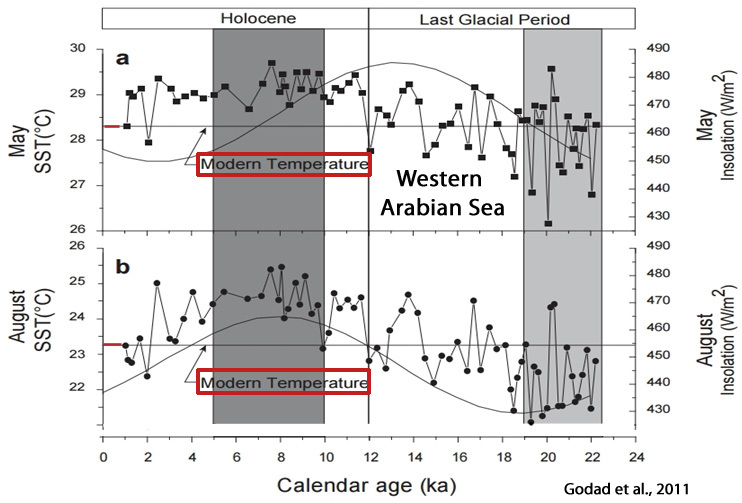 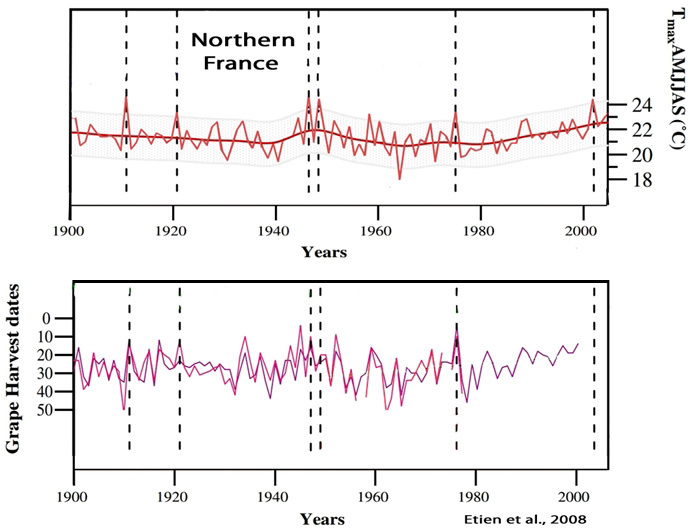 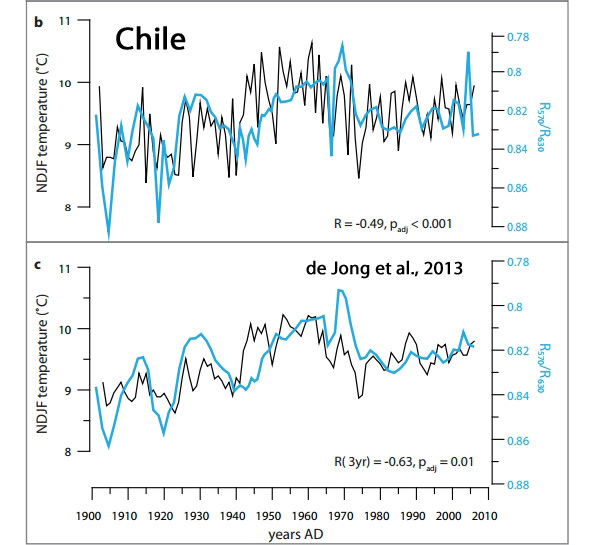 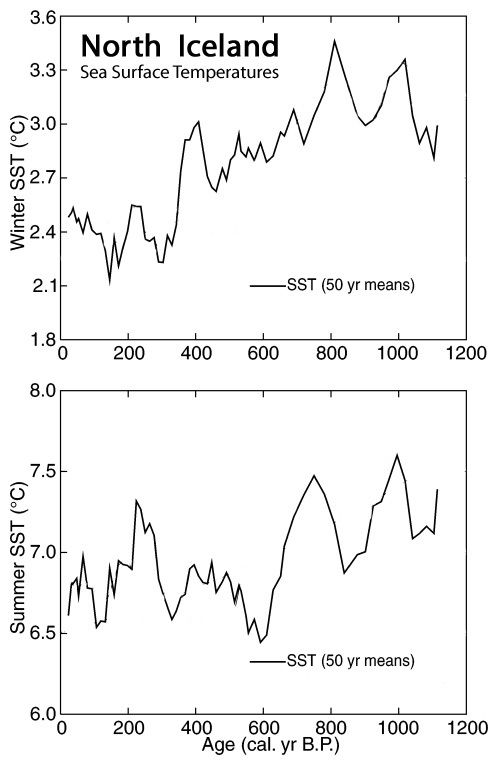 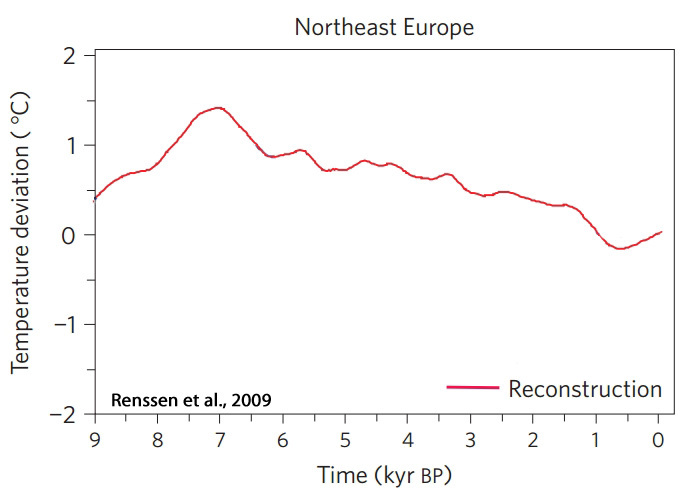 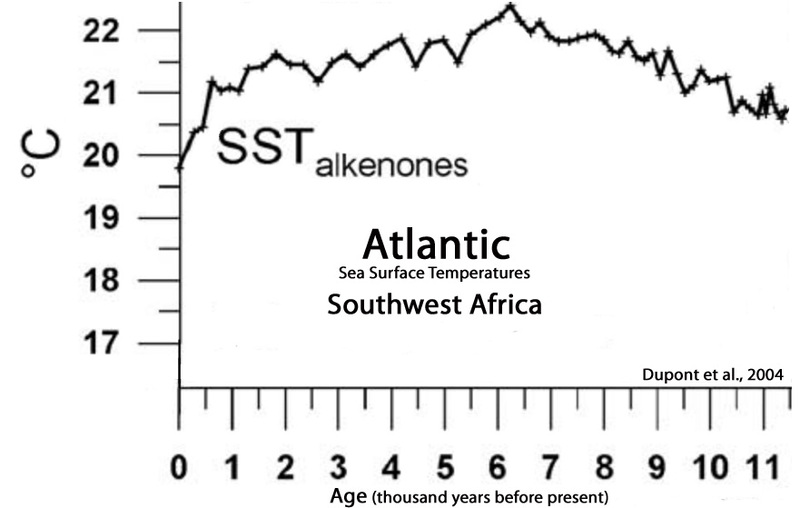 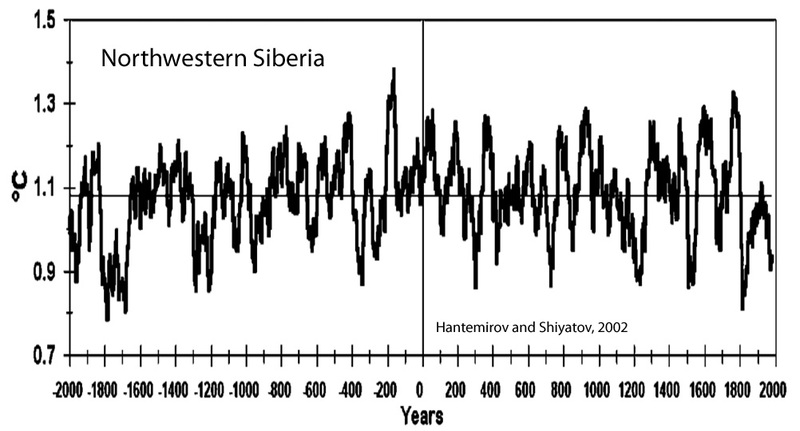 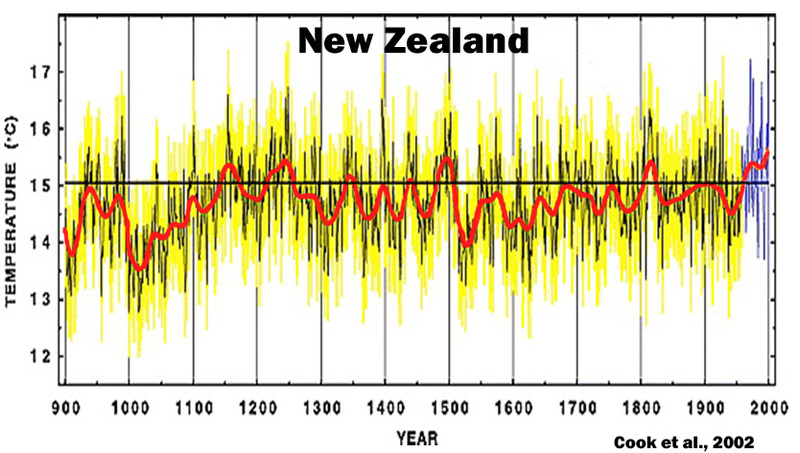 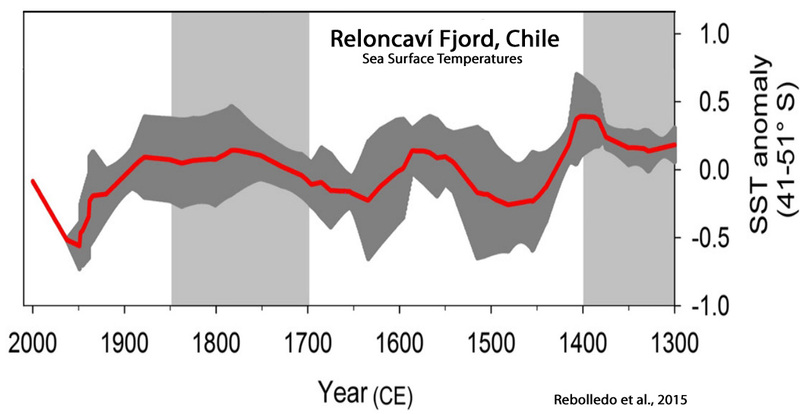 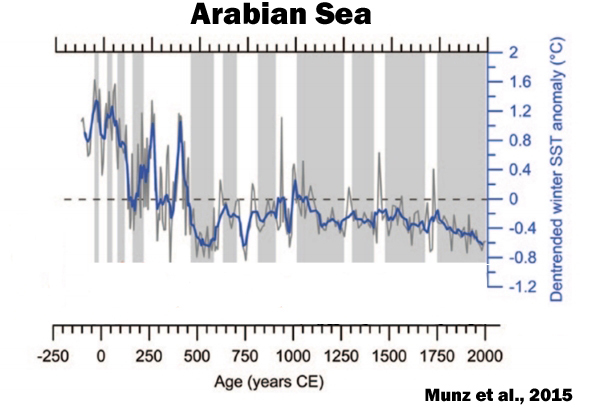 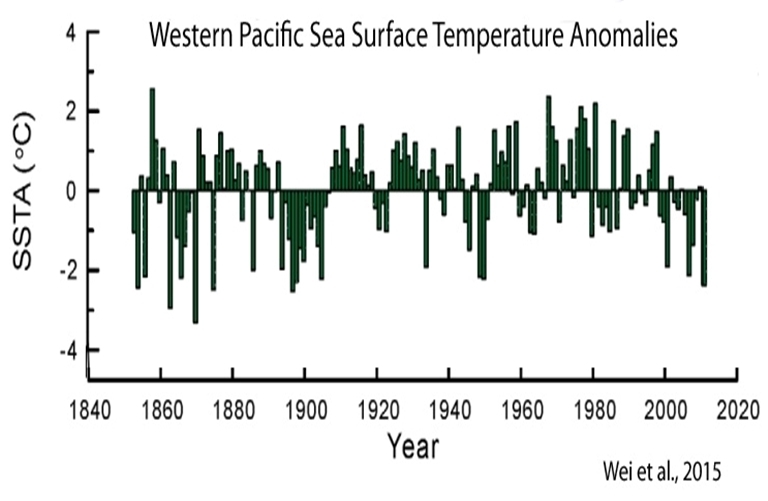 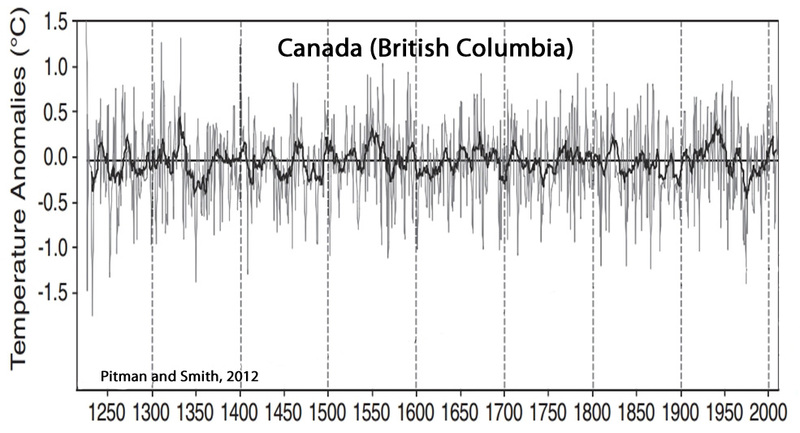 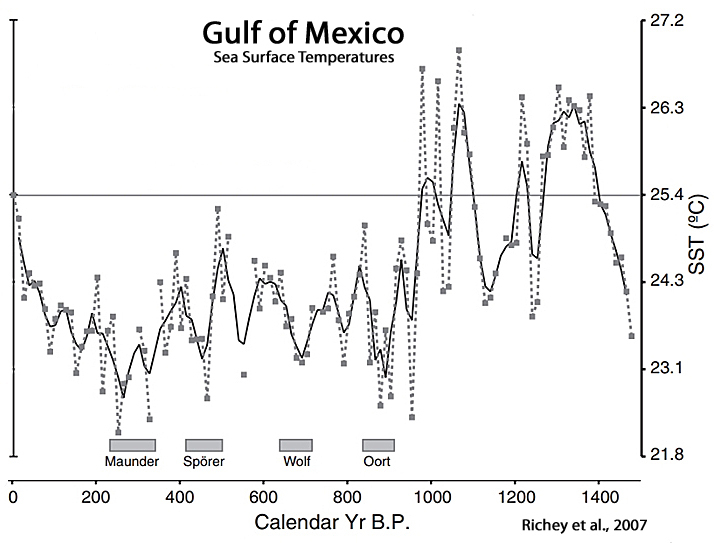 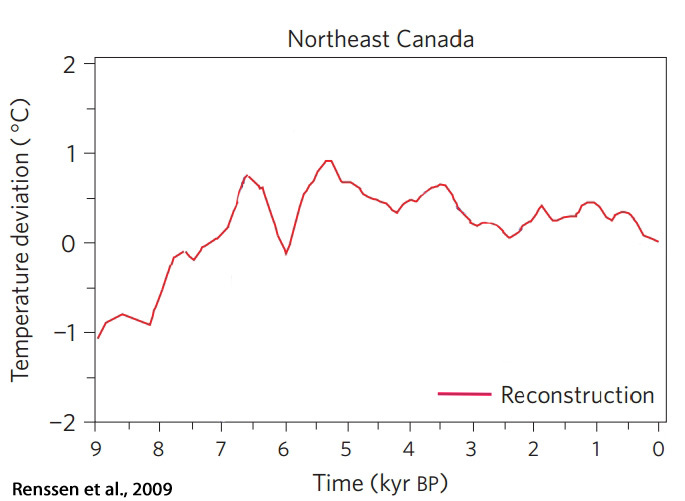 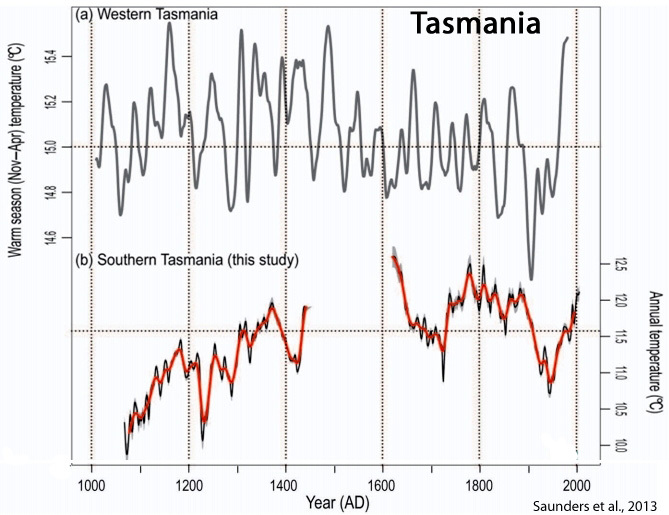 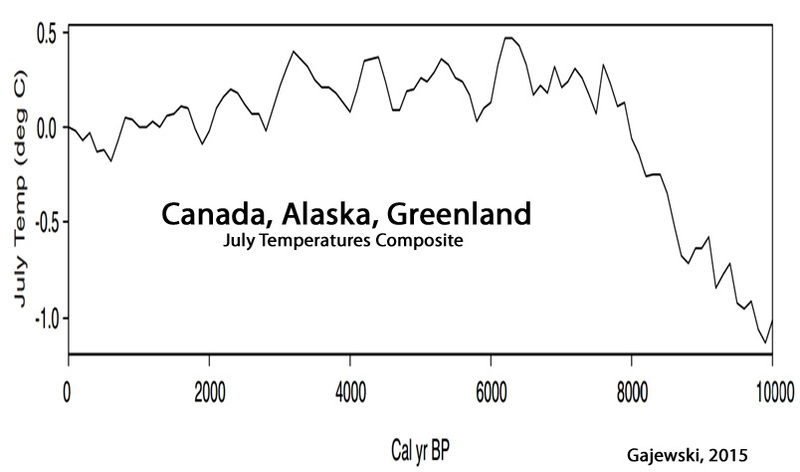 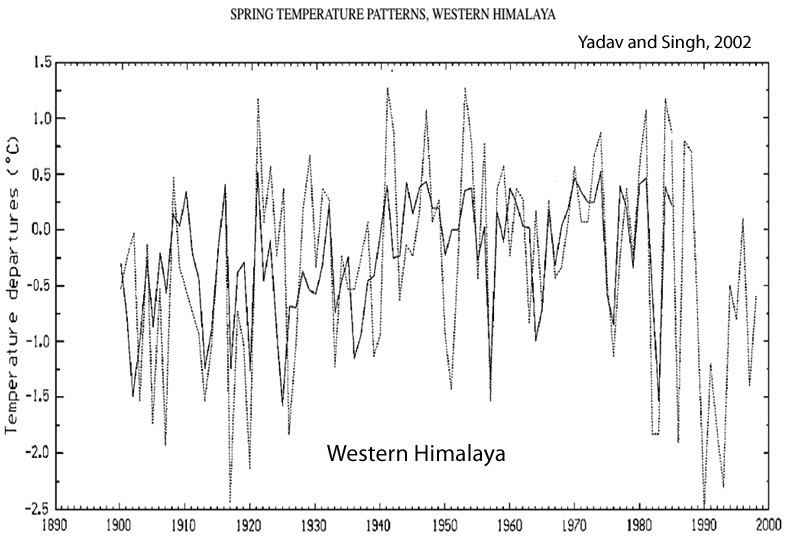 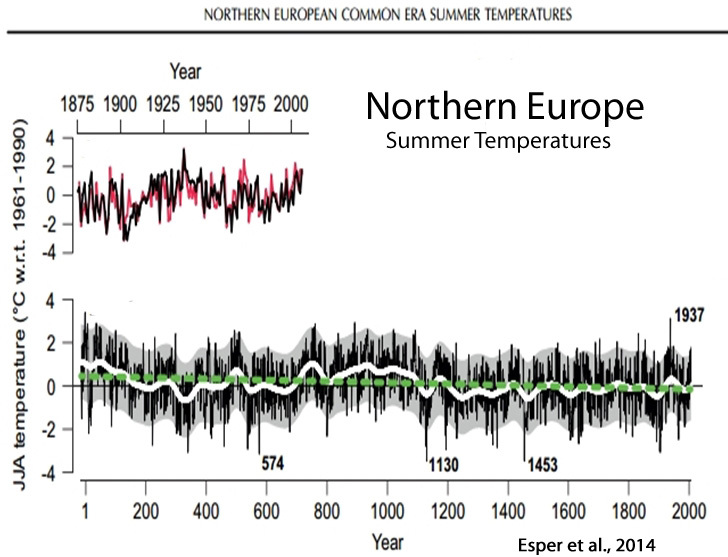 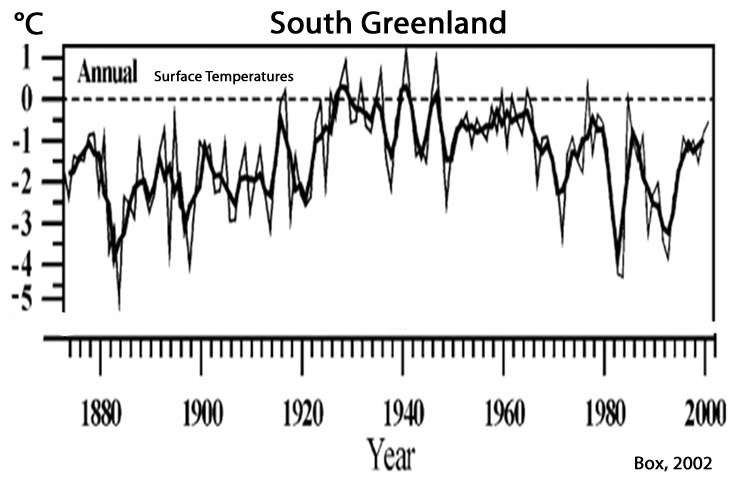 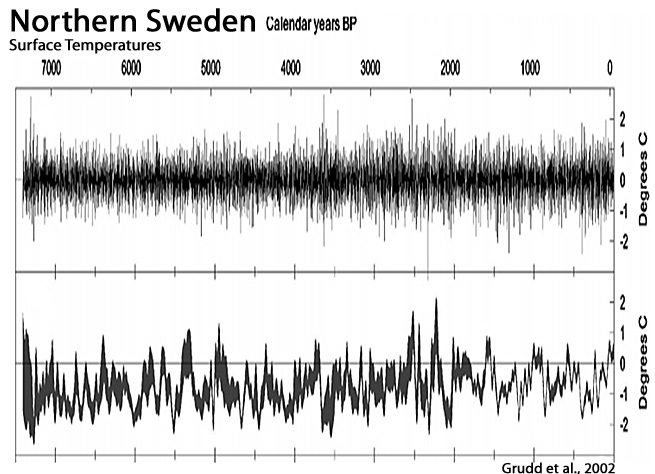 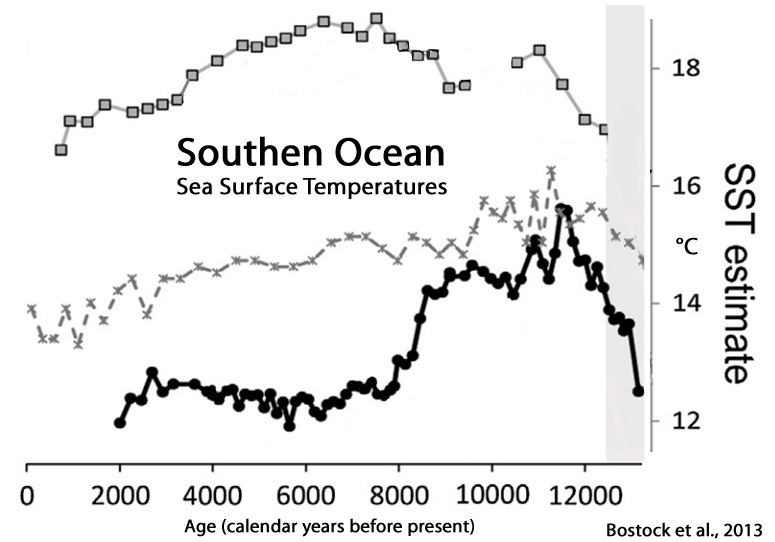 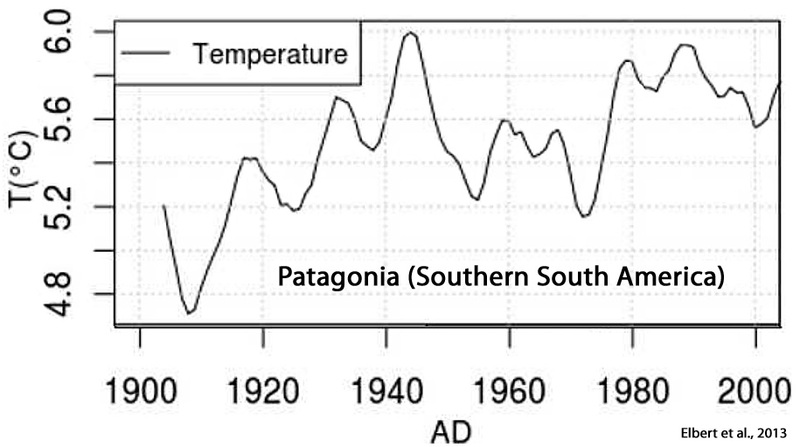 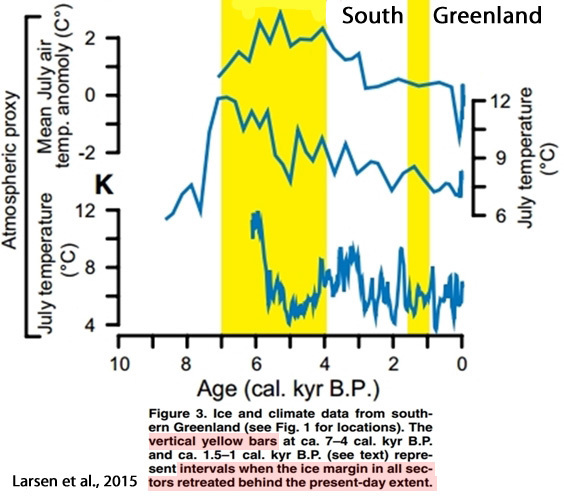 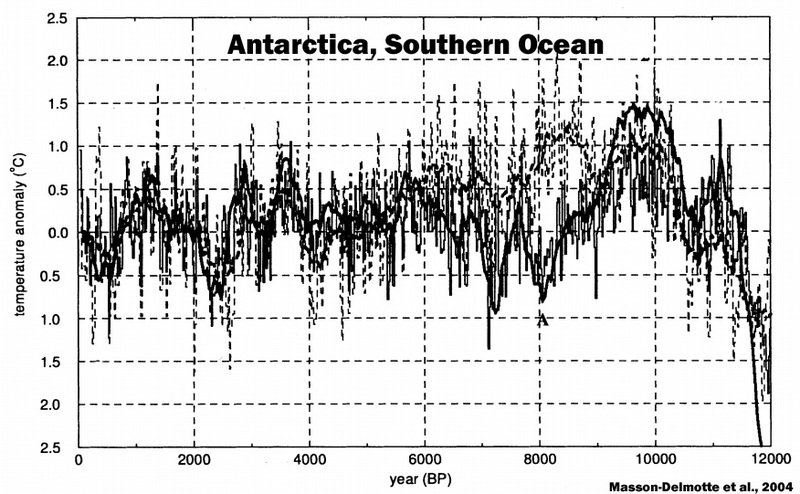 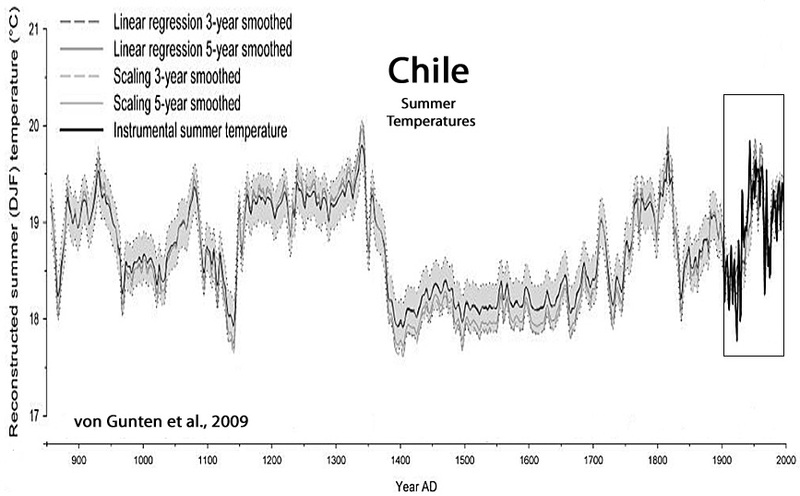 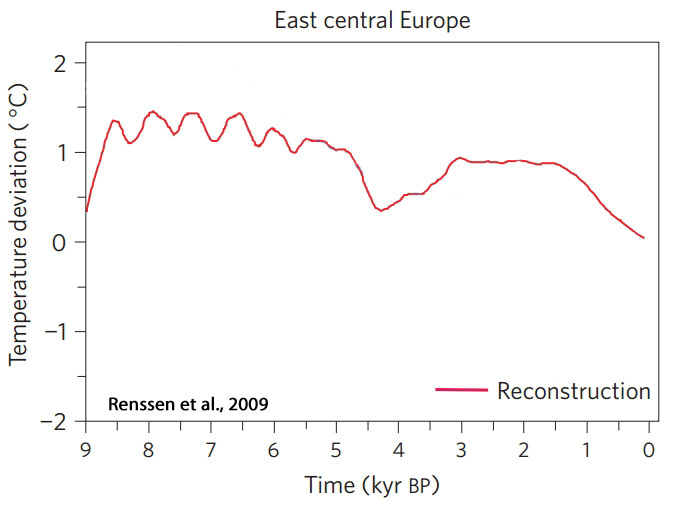 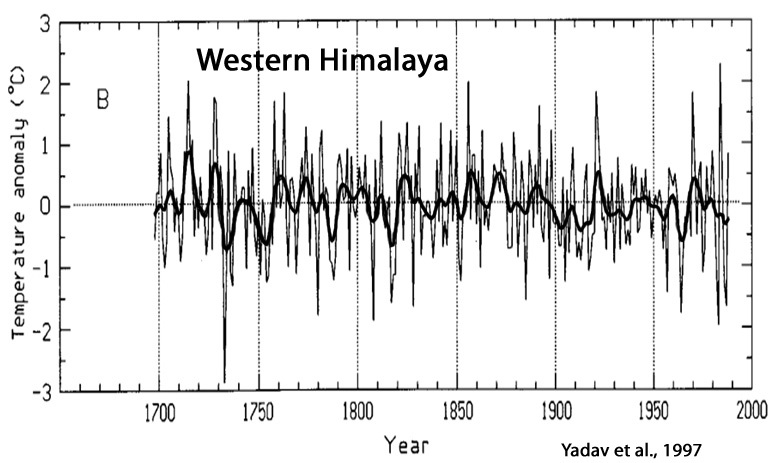 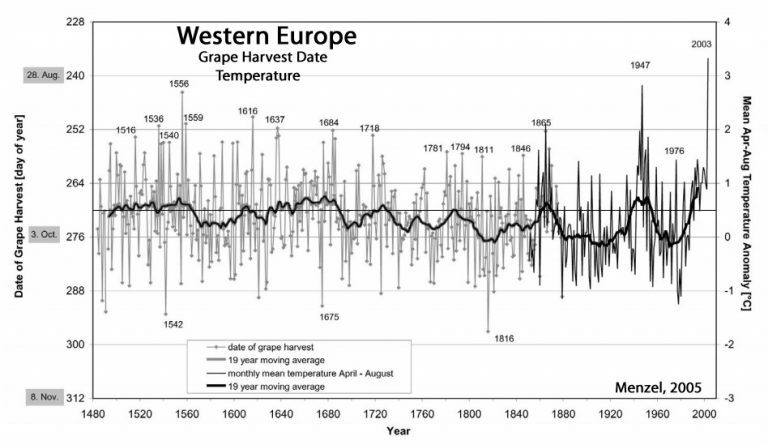 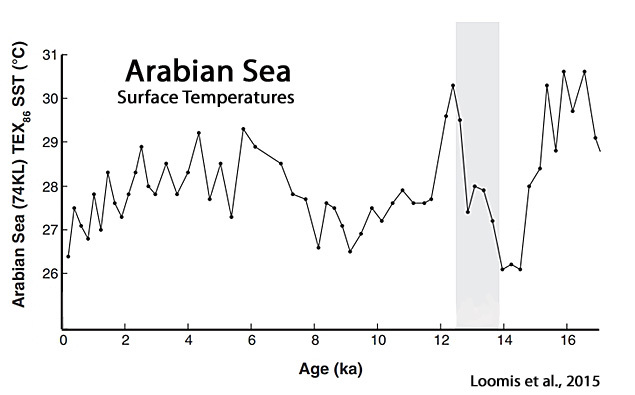 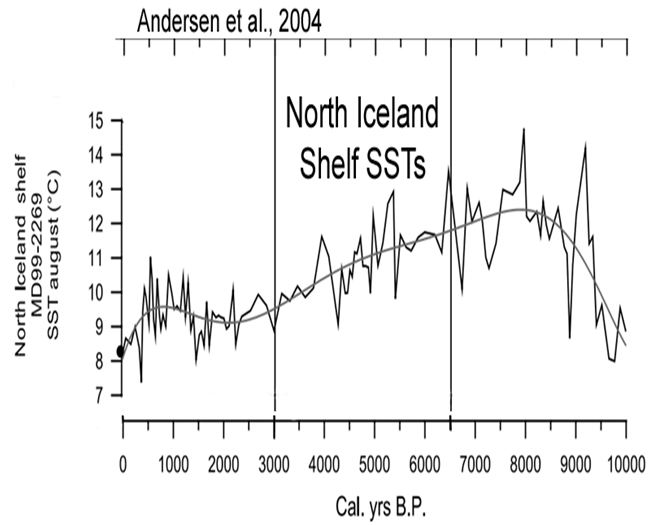 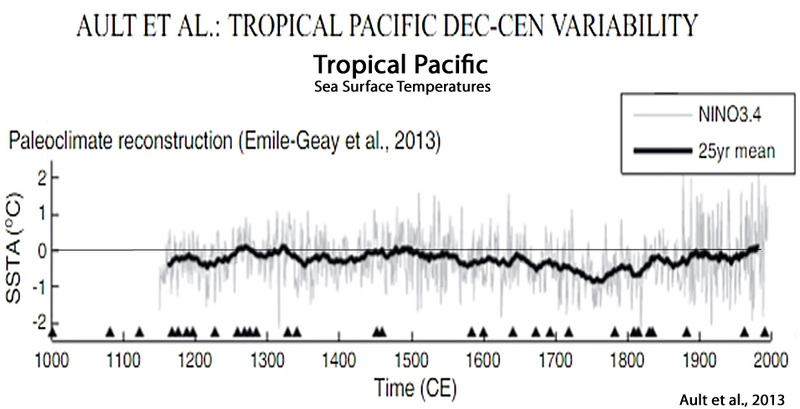 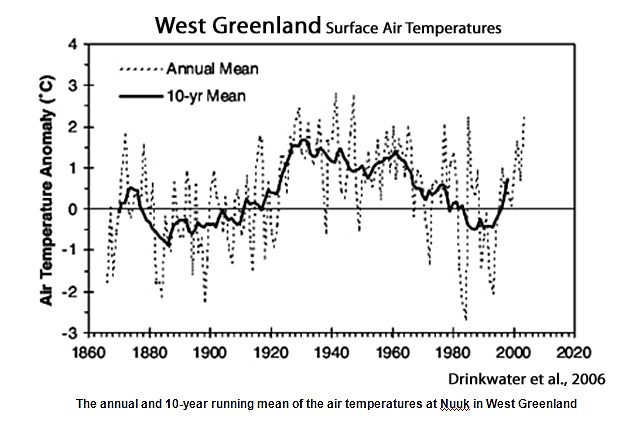 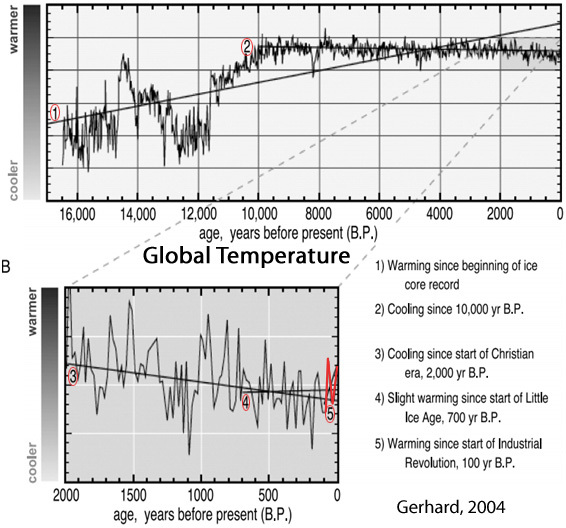 It may be asking a for a lot of research to put that together, but I think a non cherry picked set of graphs would be a more credible demonstration that although the earth appears to have been warming at a rate of around 1 degree F per century since the end of the Little Ice Age in the mid 1800s, there’s no convincing evidence that this warming is anything other than a natural process. 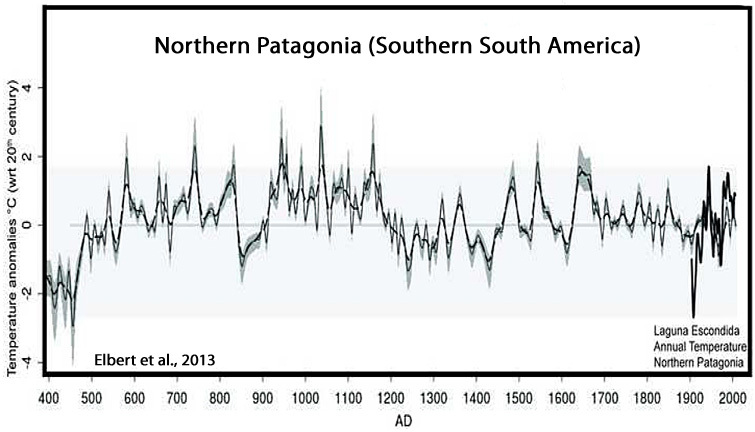 The thing to understand is that there is NO global climate! 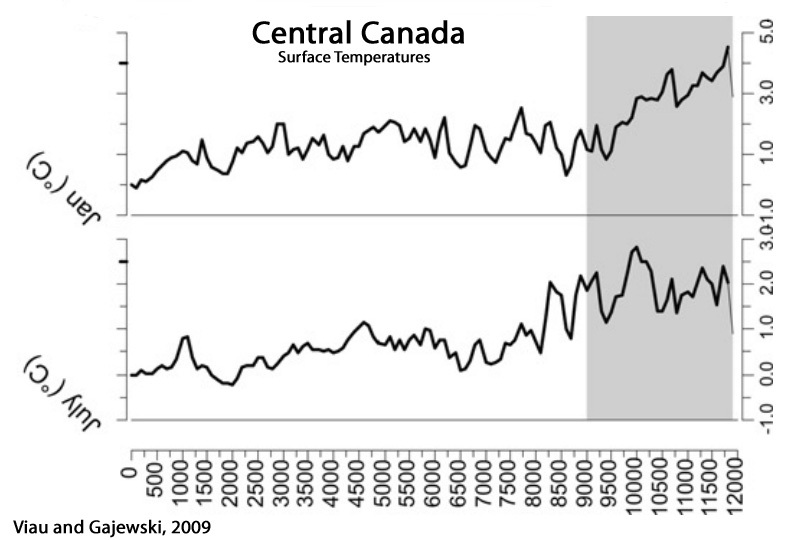 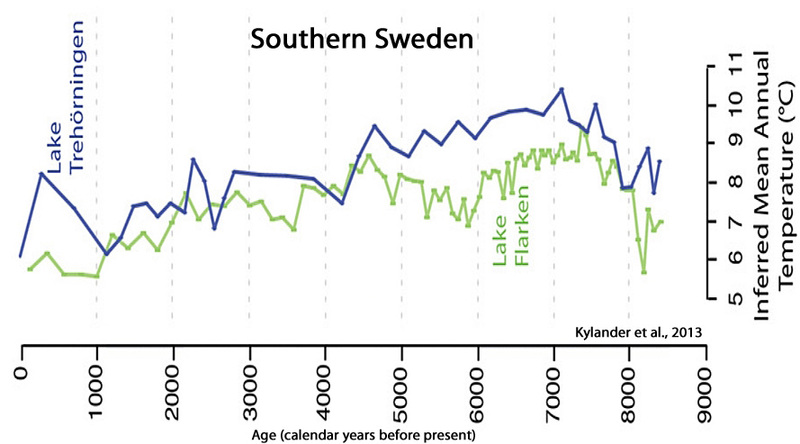 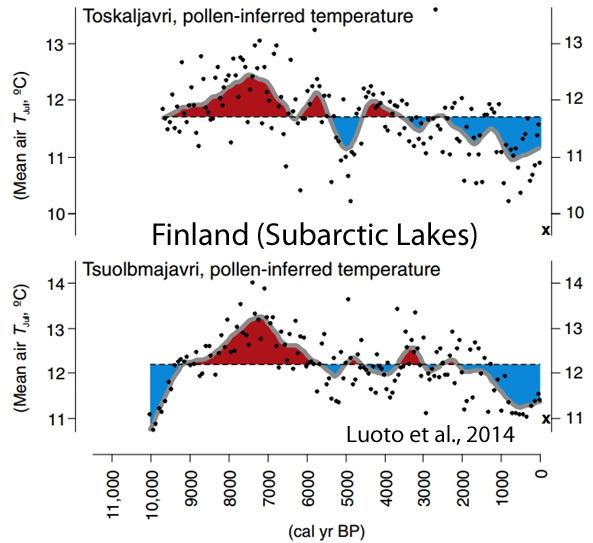 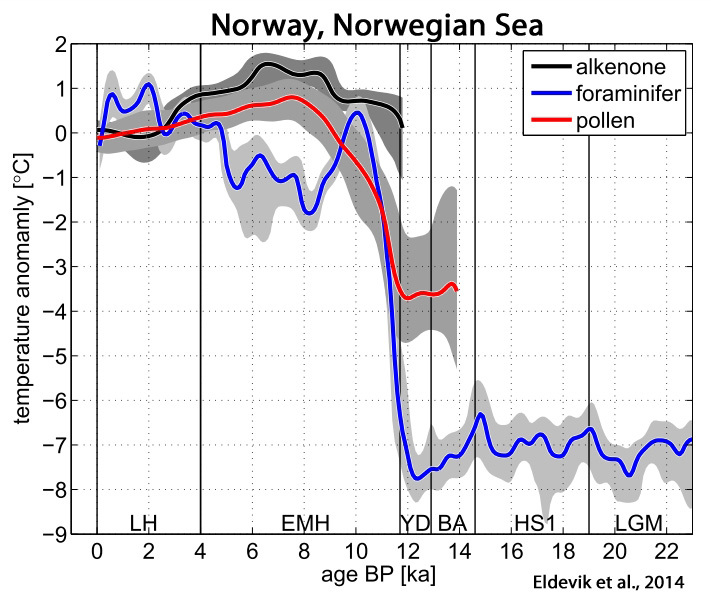 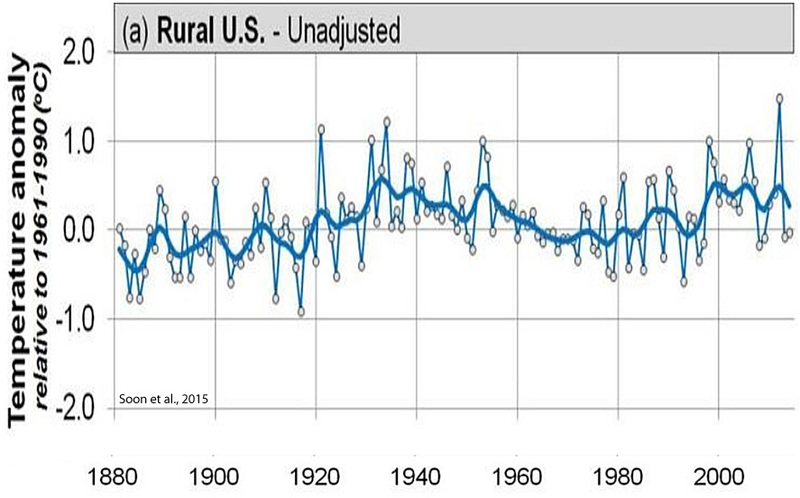 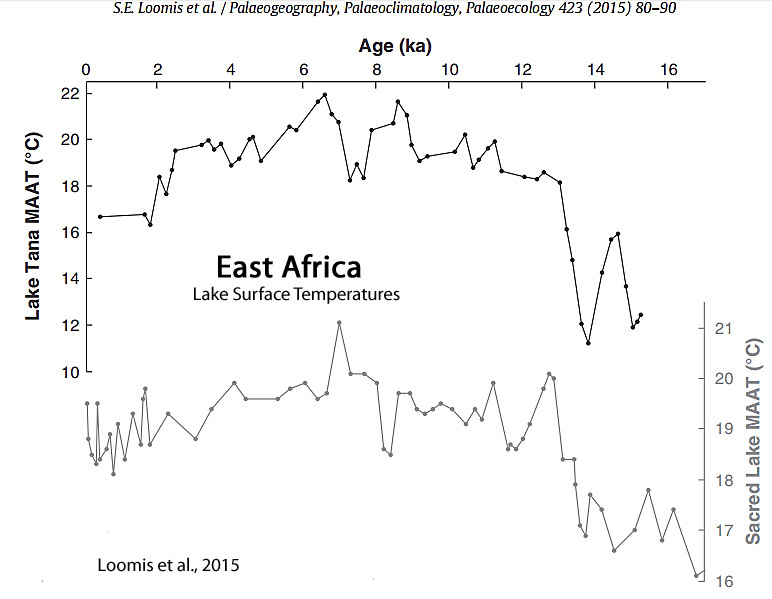 There are only regional climates, and local climate effects. 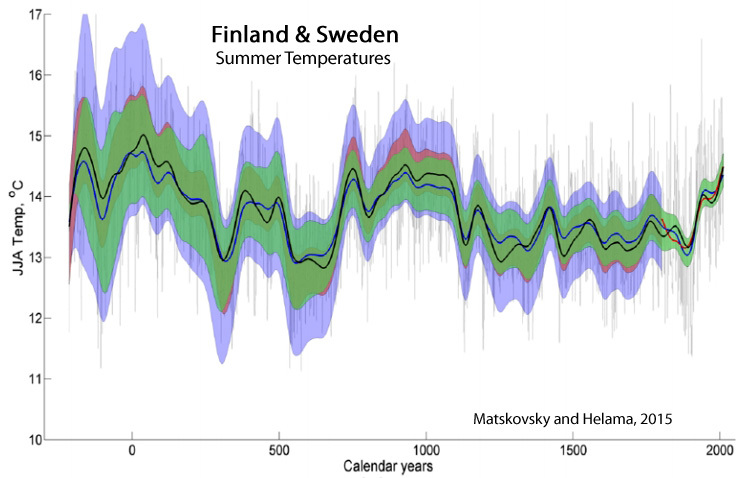 Fantastic, this should keep me occupied for a year or two.